An ancient description of Corporate America and the American Consumer. "It must be considered that there is nothing more difficult to carry out, nor more dangerous to conduct, nor more doubtful in its success, than an attempt to introduce innovations. For the leader in the introduction of changes will have for his enemies all those who profit under the existing order of things, and only lukewarm supporters in those who might be better off under the new." written in 1513, the same year Juan Ponce de Leon landed in Florida. My 2012 Nissan LEAF purchased December 2011. After placing my $99 reservation April 19, 2010 we received our first production electric car from Hill Nissan in Winter Haven, Florida on December 14, 2011. It was worth the wait. At the time we decided to purchase the LEAF there wasn't much selection in production electric cars. We looked at the Chevy Volt but it was much more expensive. We didn't like the limited electric range or the gas engine that we would almost never use. We also considered the Ford Focus electric. But we couldn't find one at that time. If I could have found one, I might have bought it. I preferred the liquid thermal management system. Although I did not like the placement of the battery, I could have lived with it. The decision to buy the LEAF was based on my experience owning and driving my electric truck conversion which had been on the road almost four years when we were making the final decision. Typical round trips in the truck were less than ten miles with occasional trips of twenty miles or less. The longest trip in the truck was 41 miles on a single charge. My reasoning was that the LEAF at its worst with a seriously depleted battery would match the range capabilities of the truck at its best. This seems to be the case. 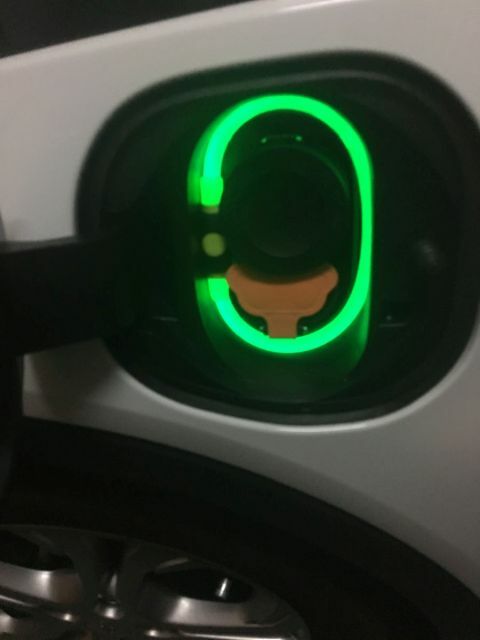 After almost six years the LEAF has lost about two "bars" or about 14 miles of EPA range leaving about 58 miles of EPA range on a single charge. Of course it is higher in local driving which is how it is used. So the car far exceeds our routine needs of ten or twenty miles and is equal to an occasional trip in excess of the trucks longest trip. 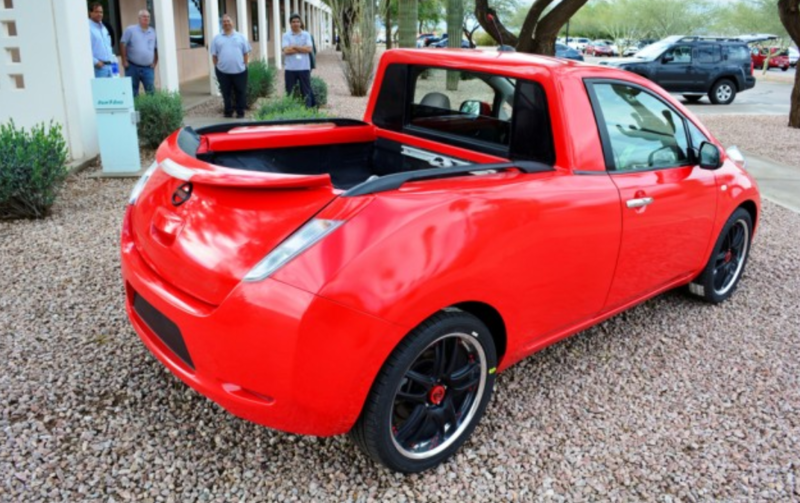 In all other respects the LEAF far surpasses the truck. 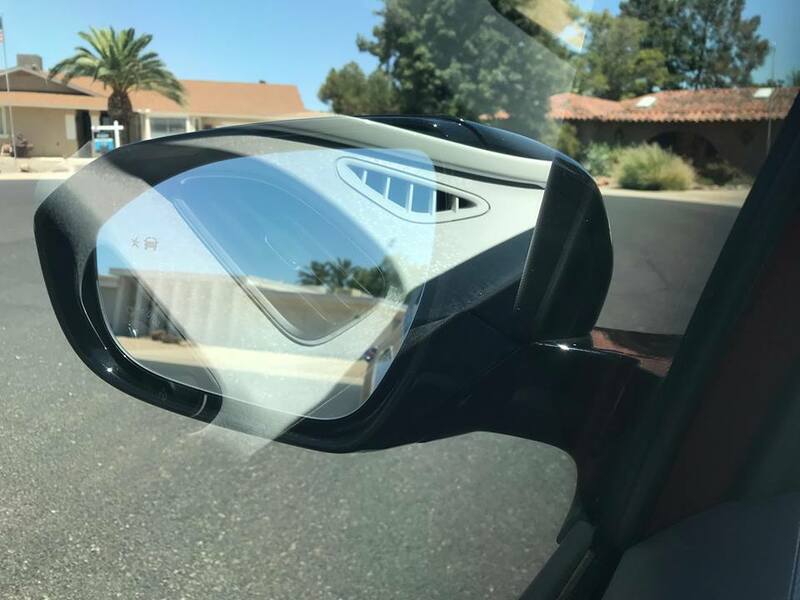 It has features like a backup camera, garage door opener in the rear view mirror, auto dimming rear view mirror, heated seats, USB port and electric parking brake among others. The electric brake is important for my wife who is not strong enough to deal with a mechanical hand or foot operated parking brake. Used LEAF prices are very attractive. We have a friend who purchased a 2015 LEAF with 16,000 miles and full battery capacity for $8,000. In cooler or moderate climates the batteries in these cars hold up well over time. but in warmer climates like Arizona or Florida, they don't last as well. But still even in Florida, if your range requirements are modest these cars can provide low operating cost transportation. The other thing to keep in mind is that LEAF battery chemistry improved in 2013 with the introduction of the "Lizard" battery which is somewhat more heat tolerant. In hot climates, I would suggest an EV wth liquid cooled thermal management if you have more demanding range requirements. Our LEAF is now almost six years old. We have never spent a penny on repairs. Operating costs for us are limited to the cost of charging. Since February 16, 2015 when we installed our 5.4 kw solar array, our charging cost is zero. I had the LEAF portable cord that came with the car converted to 220 volts. We have used this cord over the years at both 110 volts and 220 volts at home and in the early days at 110 volts while traveling. We have never installed a wall mounted EVSE. I did have an electrician install a NEMA L6-20 receptacle with #6 wire so the receptacle could be upgraded in the future. I also have a NEMA 14-50 outlet I installed earlier for the truck. How fast can you Charge an EV at 220 volts? It depends on the car. Two important factors are the ampere rating of the onboard charger and the efficiency of the car. Assuming an efficiency of 3 miles per kwh, at 16 amps you can assume that you will recover about 10 miles of driving for each hour of charging. At 32 amps you can assume that you will recover about 20 miles of driving for each hour of charging. Cadillac ELR, Porshe Cayenne S-E, Porsche Panamera S-E, Honda Accord Plug-In. Section 625.18 - Requires that EV supply equipment include an interlock that de-energizes an electric vehicle connector and its cable whenever a connector is uncoupled from an electric vehicle. Section 625.19 - Requires that EV supply equipment have a means to automatically de-energize the cable conductors and electric vehicle connector upon exposure to strain that could result in cable rupture or separation of a cable from the electric connector and expose live parts"
If my onboard charger failed in my 2012 Nissan LEAF, I would consider a portable 10 KW Chademo charger. This would be a little bit cheaper than a new replacement onboard charger installed. This requires no changes to the car. his would constitute a significant upgrade from 3.3 Kw to 7.2 KW. his can be used with any EV. Portable CHAdeMO or CCS Combo DC Quick Charger. Sometimes when I have the key fob in my pocket and I lean up against the car, I set off the alarm. I bought this cover and put the key fob in backwards with a piece of stiff paper over the buttons. This would be a problem if you use the key fob buttons which I never do. In any case it is a good quality well fitting cover even if used as intended. 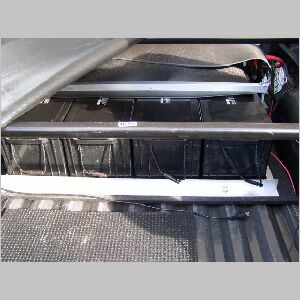 If you do not drive and/or charge your traction battery every day, your 12 volt accessory battery is subject to sulfation due parasitic loads on the accessory battery even when the car is off.. Sulfation is , a build-up of lead sulfate crystals, and is the number one cause of early failures of lead-acid, sealed, AGM or flooded wet batteries. This is a normal result of discharging and is reversed by the charging process. However, sulfates in a lead acid battery left in a discharged state harden and eventually crystallize. This makes charging to full capacity difficult and eventually impossible. Internet access via the "My Chevy Bolt APP". The loss of any one of these systems can be problematic. It is particularly confusing When the accessory battery is low and the car starts but one or more of these systems is not functioning properly. Strange things happen like the center display is not functional or you cannot shift out of park. 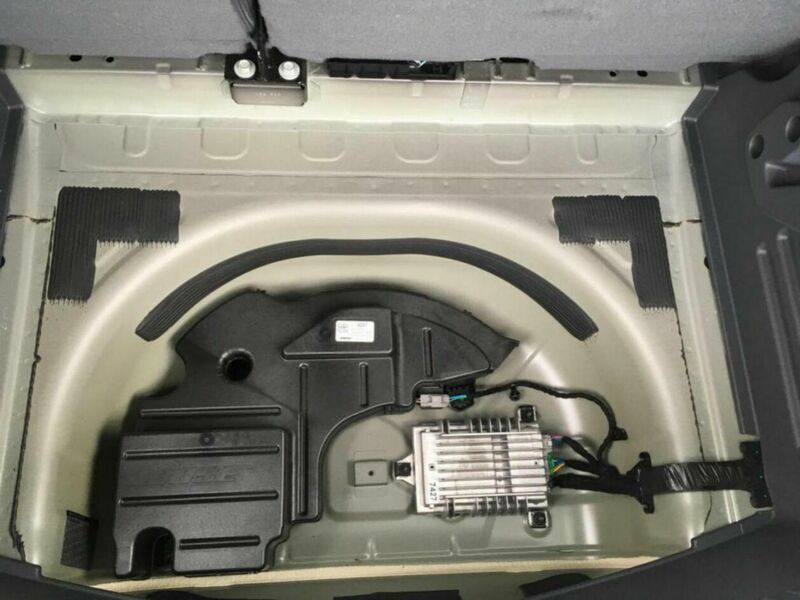 If the accessory battery is dead, you may not be able to enter the vehicle because the door lock system is not operational. This is not cheapest but it is an excellent 12 volt accessory battery conditioner, charger and trickle charge maintainer. I have used several chargers and trickle chargers, but this is the best. This will condition and charge if necessary then maintain a trickle charge. It is small and compact and replaces separate chargers and trickle chargers. If you don't drive every day this keeps your accessory battery in good condition. I have two, one for my LEAF which is seven years old (12/2018) with the original 12 volt battery. The other I use on the Bolt. This not necessary if you drive and/or charge every day. Both processes maintain the accessory battery. It is worth mentioning that many strange symptoms in electric cars are the result of a poorly maintained accessory battery. It is a good practice to check 12 volt battery condition occasionally. Keep in mind that the Chevy Bolt has an AGM accessory battery. Be sure to set the charger to AGM battery Maintenance. With intermittent use of your EV it is important to monitor the 12 Volt accessory battery condition. This is best done by keeping aware of the 12 Volt battery voltage. 12.7 volts or higher is a fully charged Accessory battery. To facilitate monitoring status and easy accessory battery maintenance, I use a permanently wired plug to connect the trickle charger and a permanently wired Voltmeter. If you notice a decreasing battery voltage below 12.7 volts, you should test the battery with a Battery Load Tester (see Parts List below). The fact that the car starts after several days of being idle does not mean you don't have an issue. Each time the car sits for an extended period of time, a small amount of battery capacity is lost due to sulfation. The effect is cumulative increasing the amount of lost capacity each time. Eventually the remaining capacity is insufficient to sustain parasitic loads during idle periods of as little as 3 days. It has been argued that it is not necessary to be concerned about the accessory battery State of Charge in the Chevy Bolt because the Bolt automatically charges the accessory battery every 3 days. The following quote has been used as the justification for this approach. 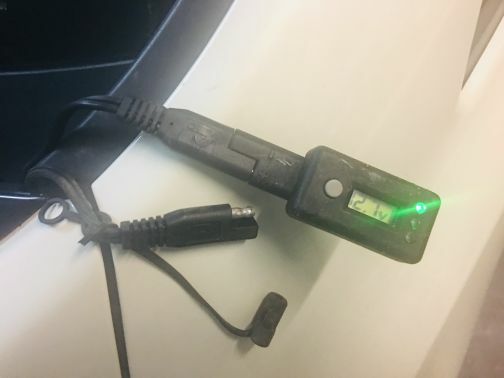 "If the car is not plugged but has been turned on within the last 30 days, it will wake up every 3 days to check the 12V battery and if the main battery is at least 40 percent full it will begin charging the 12V battery for 45 to 90 minutes." This quote is from the following article. I have left the Bolt for 7 days without driving or charging the car. I have observed that the car accessory battery was not charged during the period. After 7 days without charging, a discharged battery will result in irreversible sulfation. I believe the Bolt algorithm waits too long and lets the voltage drop too low before charging the accessory battery. The proof is in the pudding. I have driven 3 production electric cars. 2 of them are 2012 models. My Nissan LEAF and my RAV4 EV, which I no longer own, are both 7 years old with the original 12 Volt accessory battery. At the same time there is a multitude of evidence that cars which are not driven and charged every day need to have their 12 Volt accessory battery replaced in less than 3 years. 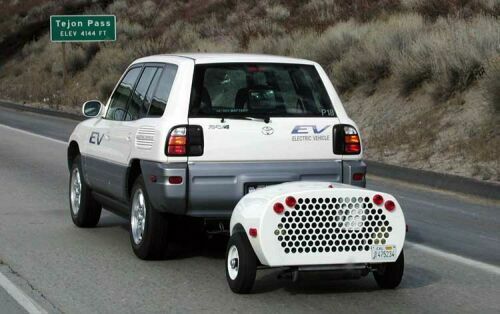 One need only refer to the online forums for both the LEAF and the RAV4 EV. The Chevy Bolt has not been around long enough but we are seeing early evidence of similar problems with the Bolt. The Nissan LEAF also has a function intended to maintain the 12 volt accessory battery while the car is unplugged. Like the Bolt this function is not completely effective. Overall the LEAF not completely adequate at maintaining the 12 Volt accessory battery even when the car is plugged into a J1772 station. The accessory battery maintenance functions in both the Bolt and the LEAF are useful but not apparently intended to eliminate or even reduce lost capacity due to sulfation. It seems their intended purpose is to assure that the car will always be able to start. This is accomplished by using the DC to DC converter to charge the 12 Volt battery using the traction battery as the source whenever the accessory battery becomes alarmingly low. Ironically This 12 volt battery voltage monitoring function adds to the load on the 12 volt accessory battery. The evidence is clear. A neglected 12 Volt accessory battery which is not maintained at full charge will fail early whether it is a piston vehicle, Hybrid, a plug in hybrid or a battery electric vehicle. Here I have the plug and Volt meter pulled out of their normal resting position so they can be easily seen. Here is the plug and voltmeter in their normal resting position. I use this larger meter for precision. This meter shows 2 decimal places where the permanently wired meter only shows 1 decimal place. This meter has several functions other than just showing voltage. I am using only the voltage capability. Although this meter has 2 decimal place precision it is not perfectly accurate. I have checked the voltage with my Fluke meter and it is consistently 5/100 of a volt low. Although it is showing 12.73 volts in the picture it is actually 12.78 volts. 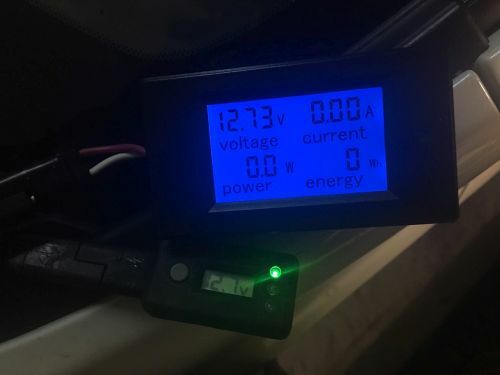 I use this meter to check the accessory battery voltage every night before I go to bed when I am home and the accessory battery is not already charging. The permanently wired meter only has one decimal digit precision which makes it more difficult to follow exactly what the rate of decrease in voltage is from day to day. If you park in long term airport parking or similar situation without access to an outlet, you may be interested in this alternative. 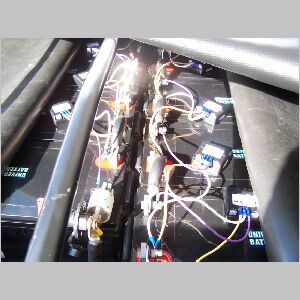 In order to increase the likelihood that your accessory battery will not discharge while sitting idle, you can remove parasitic loads by disconnecting the 12 volt accessory battery. This device when connected to the accessory battery will facilitate that process. You simply turn the knob to disconnect the battery. This process is not without its drawbacks. You should open the hood and lock the car before disconnecting the battery. 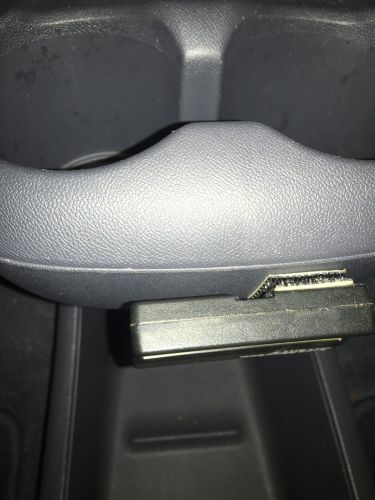 Reentry will require the key inside the key fob to open the door and release the hood latch so you can reconnect the battery. This approach should not be used in extremely cold or hot weather because you defeat the cars ability to maintain traction battery temperature. Traction battery health is more important than accessory battery health. This approach is a poor alternative to plugging into it J1772 station or using an accessory battery maintainer. This is what the owners manual has to say about storage of the Bolt. Plug in the charge cord. battery range indicator (Battery symbol) on the instrument cluster. o Do not plug in the charge cord. and trickle charge from the underhood remote positive (+) and negative (âˆ’) terminals. See Jump Starting - North America Page 295 for the location of these terminals. Modern automobiles of all types place a parasitic load on the 12 Volt accessory battery. When these vehicles are driven daily and if Plug-in type are charged daily, they will be more or less trouble free depending on the accessory battery charging system in that vehicle. On the other hand if the vehicle is subject to repeated idle periods of 3 days or more, 12 volt accessory battery capacity will be lost. Eventually this will result in a dead accessory battery and the associated inconvenience. This inconvenience can be avoided with a minimum amount of 12 Volt accessory battery voltage awareness. However it can be illuminated with a more proactive battery maintenance program. For those unconcerned about the life of the 12 Volt accessory battery and the need to replace it more frequently, awareness of the accessory battery voltage can help the owner to know when to replace the accessory battery before he is inconvenienced. The fact that an automobile starts is not an indication that the accessory battery is at full capacity and in a healthy condition. AGM Lead acid batteries are subject to sulfation the same as any other lead acid battery . If you have lithium ion accessory battery replacement is available for your car, and it is compatible with your cars charging system, it will not be vulnerable to this type of failure. Although the Chevy Bolt is designed to minimize this problem it is not completely effective. Because electric cars will start with 12 Volt accessory batteries at far lower voltages than piston vehicles, many strange symptoms present themselves at these very low accessory battery voltages. When these events happen it is not always obvious that the cause is the 12 Volt accessory battery. Systems other than the 12 Volt battery are often suspected first making the problem even more troublesome. In conclusion, it is best to have at least an occasional awareness of 12 Volt accessory battery voltage. However a more proactive approach to maintaining 12 volt accessory battery voltage at a fully charged 12.7 volts would lead to a trouble free driving experience. br> This section may also be relevant to 12 Volt accessory battery and traction battery condition during Idle periods. Accessory Battery hook up quick disconnect cable. 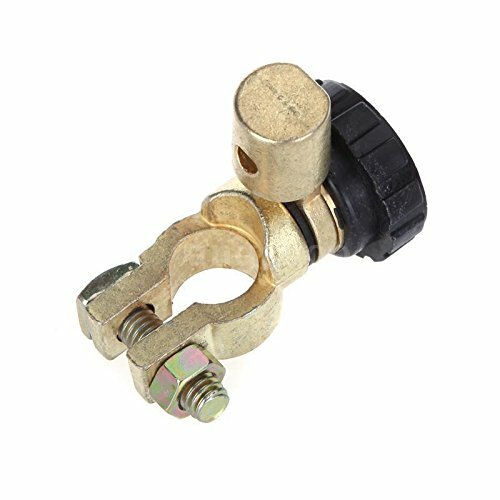 Adapter necessary to connect Battery maintainer to car. Permanently wired One decimal digit precision volt meter. 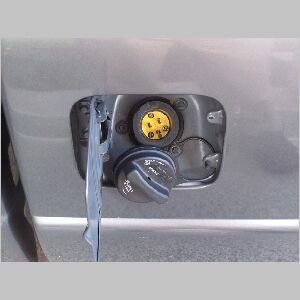 12 Volt accessory battery easy cut off switch. It costs about $30 per month for electricity to drive one thousand miles per month or twelve thousand miles per year. This is based on a cost of 10 cents per kwh 3.4 miles per kwh. Some people use a device called a Kill A Watt to measure exactly how many kwh it takes to charge. But it only works for level 1 at 110 volts. 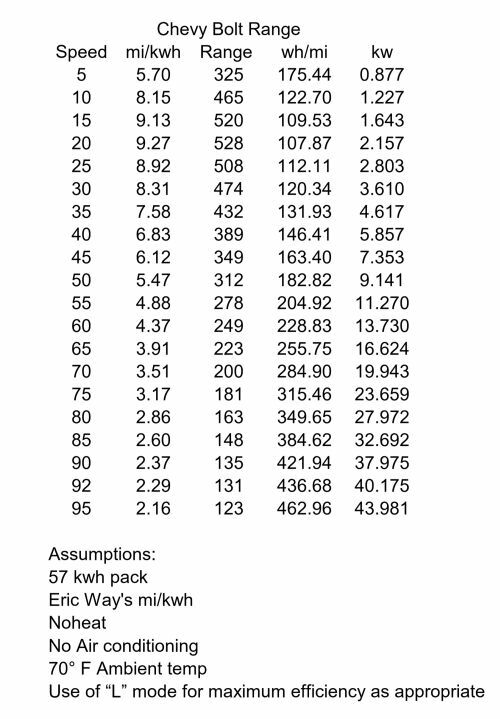 I use the ekm-25IDS to track kwh used for charging at level 2 at 220 volts. This meter requires no direct physical connection. It works by induction. I put aNEMA L6-20P on the bottom of the meter with an L6-20R on the top of the meter with the red and black hot wires passing through the meters induction pathway and run the insulated ground wire outside and behind the meter. I plug the meter in the wall and the LEAF portable EVSE modified for 220 volts into the meter's receptacle. You need to record the meter's reading before and after charging and do the subtraction to get kwh used. The meter can not be reset to zero. 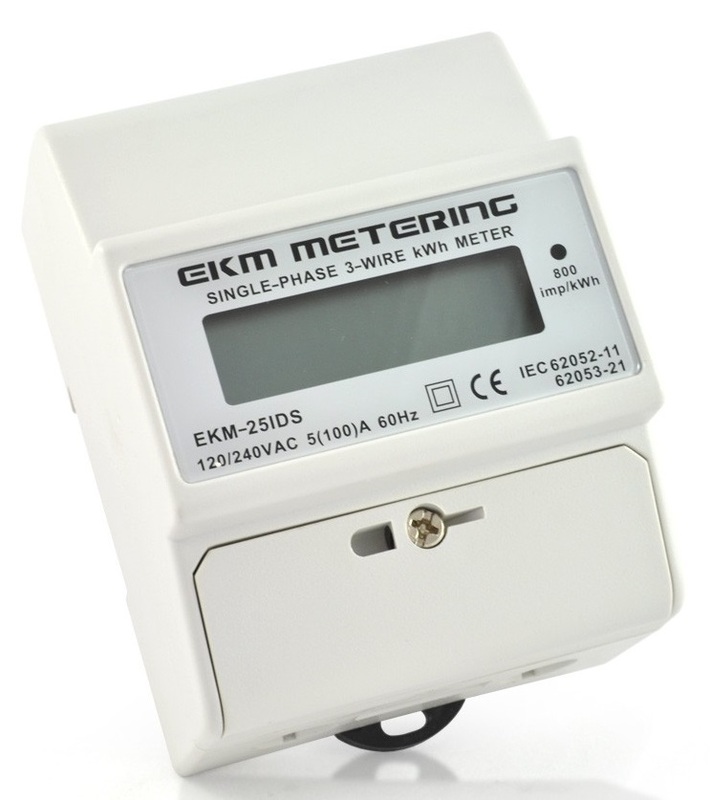 EKM Metering Inc. Electric kWh Meter, 100A 120/240 Volt, 3-Wire, 60Hz. LeafSpy can help in understanding LEAF battery capacity remaining. This is called SOH (State of Health). This requires the App on an IOS or Android phone or tablet. The IOS App costs $19.99 and the Android App costs14.99. Also required is an OBDII Scanner which plugs into the OBDII Port under the dash on the left side of the steering wheel on the a.LEAF. I use the Veepeak Upgraded WiFi OBD2 Scanner which costs $19.99. 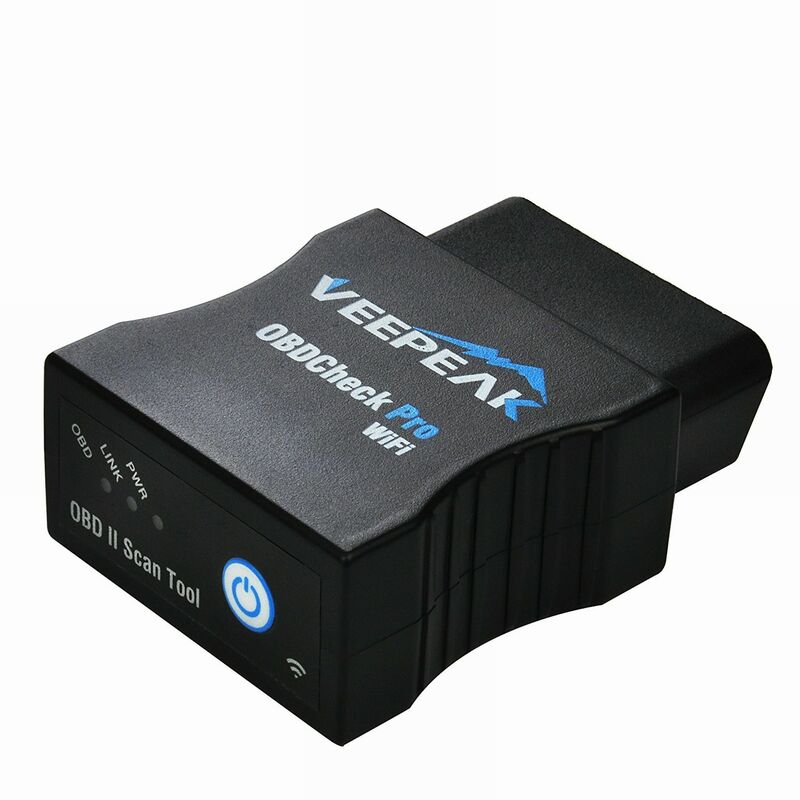 Veepeak Upgraded WiFi OBD2 Scanner. I prefer the wifi over bluetooth. 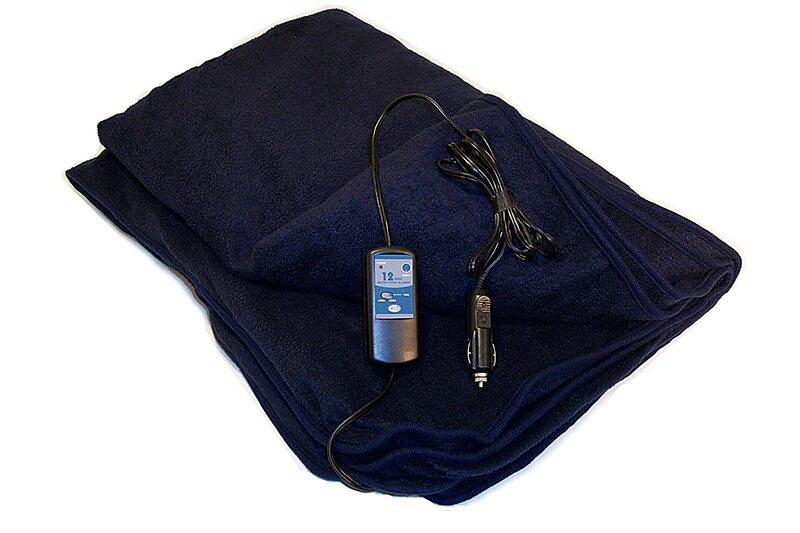 I have used this successfully with Leafspy pro on both Apple IOS and Android devices. I like the on/off button also. This is not the least expensive device and far from the most expensive. I like the ability to see tire pressure on all four tires without getting down on your hands and knees. If you plan to buy a used Nissan LEAF, get this first so you can check the SOH (State of Health) of the traction battery. You can see remaining battery capacity as a percent. A must have for LEAF Drivers. You don't actually lose bars. Each blue bar has a white tip on the right end, followed by a space and a white box. It is the boxes that disappear as capacity is lost. On a full charge, you will always have 12 blue bars. 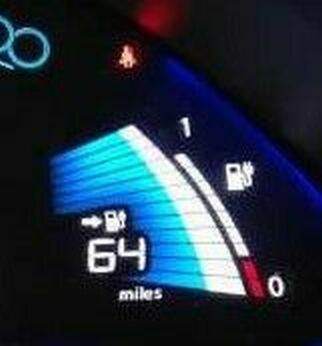 If, on a full charge, the number of blue bars is the same as the number of boxes, you have full or near full capacity. You have not yet lost 15% or your first box. This is commonly referred to as having 12 bars (a misnomer, you have 12 boxes). This image shows 4 capacity "bars" lost. But we can see clearly there are 12 blue bars. These bars look like matches or q-tips. It is the white boxes at the end of the top 4 blue bars that have been lost. If a LEAF reaches this state, it has lost 33.75% of its capacity and is eligible for a free battery replacement if it is less than five years from initial purchase. When new each blue bar represents 7 miles. 7 miles X 12 bars = 84 miles. 7 miles X 4 bars =28 miles lost. 84 miles - 28 miles lost = 56 miles remaining. The LEAF traction battery can be used to power you home in an emergency by connecting an inverter to the 12 volt accessory battery and turning the car on. I am using the Xantrex 2000 Pure Sine Wave inverter which is actually 1800 watts continuous. The LEAF DC to DC Converter is 1600 watts. Xantrex also offers a Xantrex 1000 Pure Sine Wave inverter which is actually 900 watts continuous. 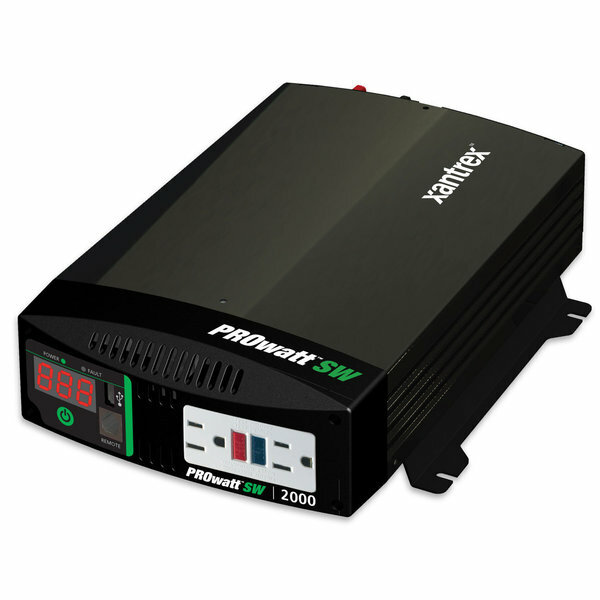 Both inverters will handle peak loads higher than their continuous rating for short periods. I chose the 2000 because I can use more of the DC to DC rated output continuously. The 2017 Chevy Bolt DC to DC converter is rated at 1.6 KW. the 2012 Nissan LEAF DC to DC converter has a similar rating. The 1000 would be safer but more limited (900 watts). The 12 volt battery will serve as a buffer between the DC to DC converter in the car and the inverter. So the DC to DC Converter won't see small peaks in demand. As a further precaution I use an AC power strip with a 15 amp circuit breaker. This will limit the inverter output to between 1.6 KW and 1.8 KW. This will prevent any large spike in current demand from reaching the inverter. This combined with a little common sense about what I plug into the power strip has allowed me to safely use the larger inverter. I am using 600 amp battery clamps with 24" 2/0 battery cables to connect the inverter quickly and easily to the 12 volt accessory battery. I like these clamps because they screw onto the cables with the supplied screws and washers not supplied. 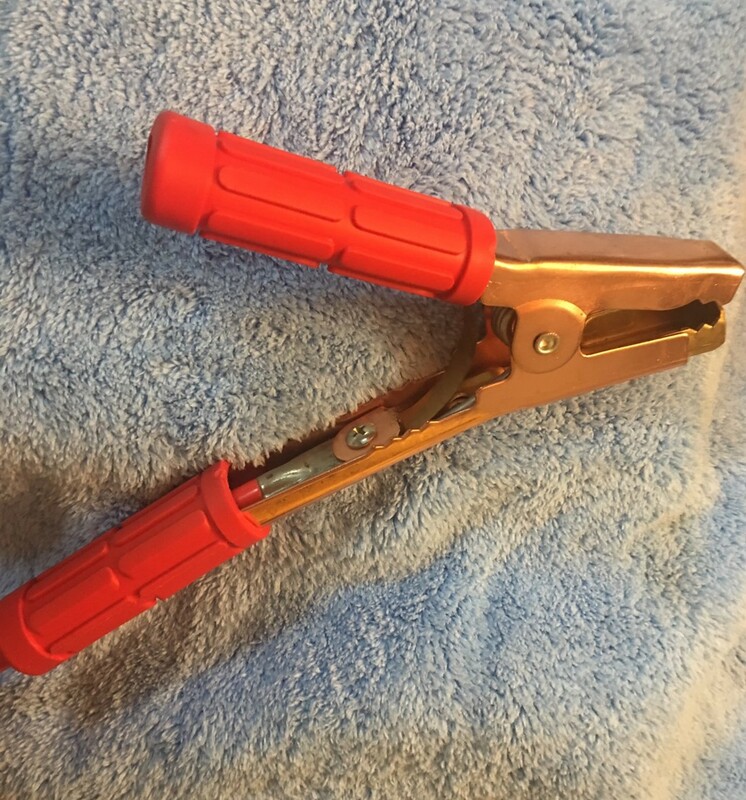 The clamps come with two tab copper connectors. These connectors are intended for cables with no lugs attached. Since my cables have lugs, I cut the tabs off the copper connectors. This left me with two copper washers perfectly sized for the screws that came with the clamps. When the lugs are screwed to the clamps you have a good physical 600 amp connection. An income tax credit of up to $7,500 is available for a new plug-in car purchase. This will likely be available for the Nissan leaf until 2021. Your income must be high enough that you have a tax obligation that is equal to or exceeds the maximum amount your car qualifies for. The full amount must be taken on the tax return for the year purchased and placed in service. Any unused portion can not be carried over to the following year. Click here for an estimate of when tax credit might expire for a particular vehicle . A diferent type of EV conversion. Start with an inexpensive used LEAF EV. My RAV4-EV purchased November 2013. 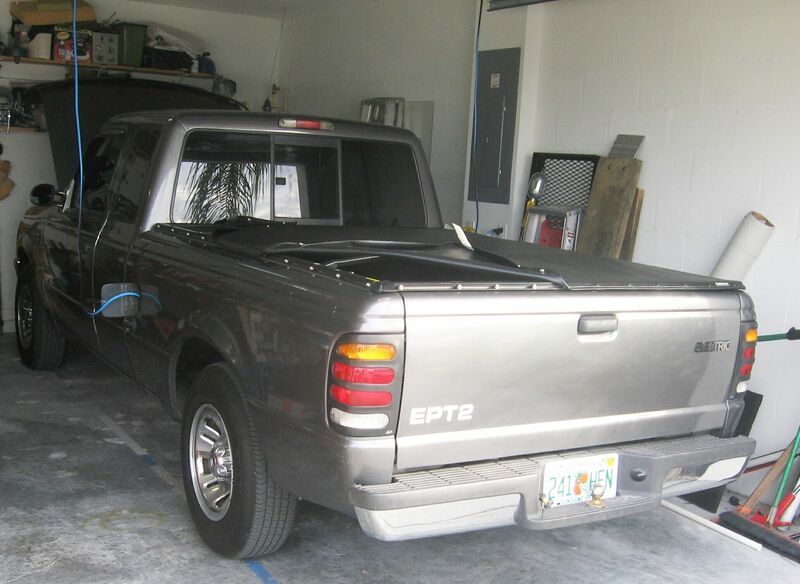 As EPT2, after six years was in need of a new battery pack, and since the field of production electric cars was widening I decided not to invest more in the truck and buy a production EV. With the help of some friends, I found a used RAV4-EV at Downtown Toyota in Los Angeles. As with the LEAF I had the RAV4-EV portable cord that came with the car converted to 220 volts. 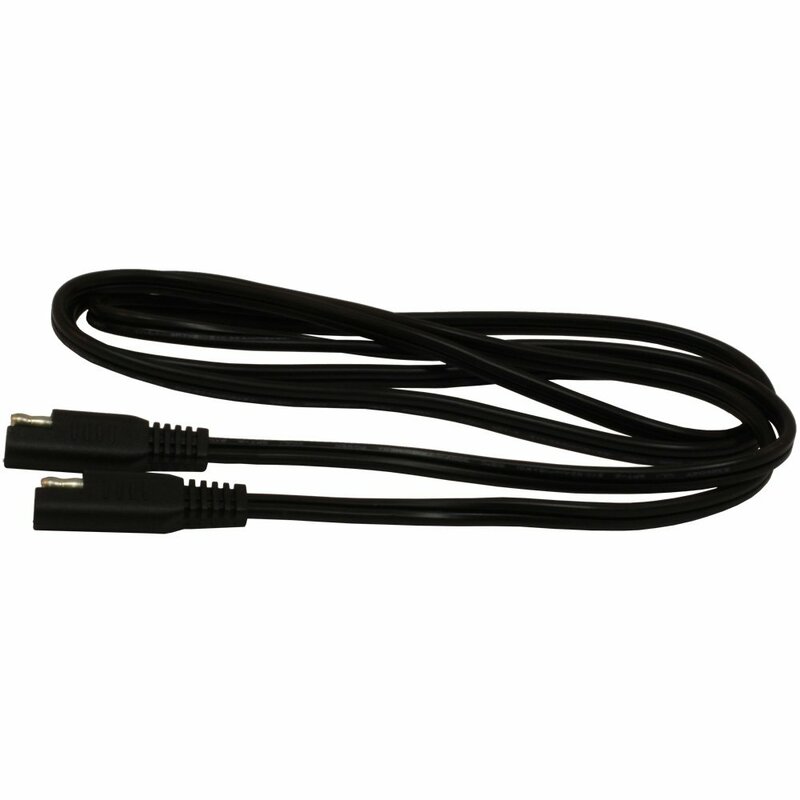 This cord only supplies the car with 12 amps at 110 volts or 220 volts. I ended up using this cord for both the LEAF and the RAV4-EV because the RAV4-EV is not compatible. 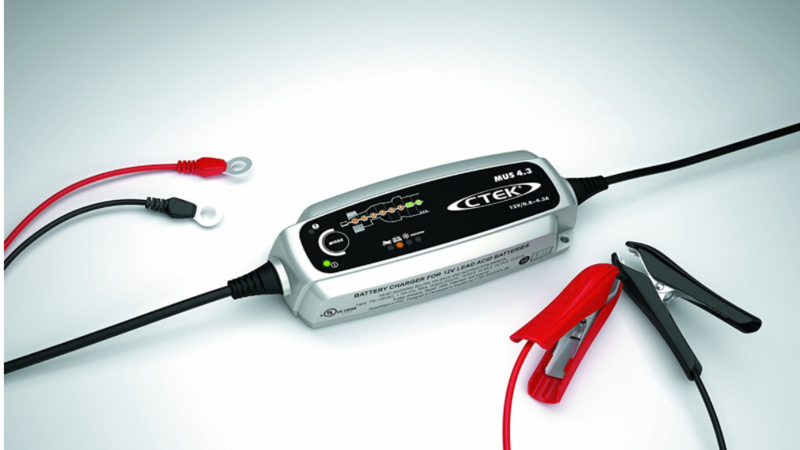 The Jesla is a Tesla UMC (Universal Mobil Connector) which Quick Charge Power has replaced the Tesla connector with a J1772 50 amp connector. The Jesla portable EVSE provides maximum output and charging flexability. I have found when traveling in Florida, some motels built prior to 1950 have two prong receptacles converted to three prong both indoors and out. These receptacles often lack ground and sometimes have hot and neutral reversed. A Green light flashing on the Nissan portable EVSE indicates a ground problem. The same is true on the Jesla when a red flashing light is present. In the Bolt cable, a solid red light only indicates electrical system fault: The charge cord has detected a missing or improper ground. If the green light is flashing with a solid red light the charge cord has detected that the plug is overheated. Try another outlet first. 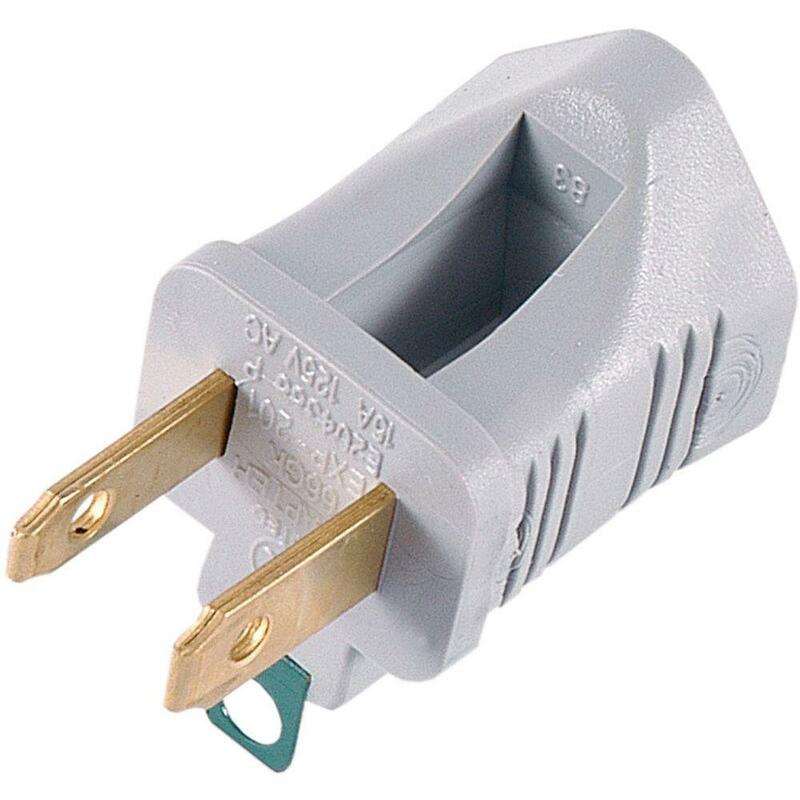 Only if a correctly wired outlet is unavailable use one of these adapters pictured to supply a ground. If hot and neutral are correct, your problem is solved. It may not be easy to provide a ground. In this case the quick and dirty solution is to tie neutral and ground together. The EVSE will accept this and charge. This can be dangerous if you do not know which pin is neutral. Proceed with caution and at your own risk. The best approach is to be prepared with the necessary tools and diagnostic equipment. 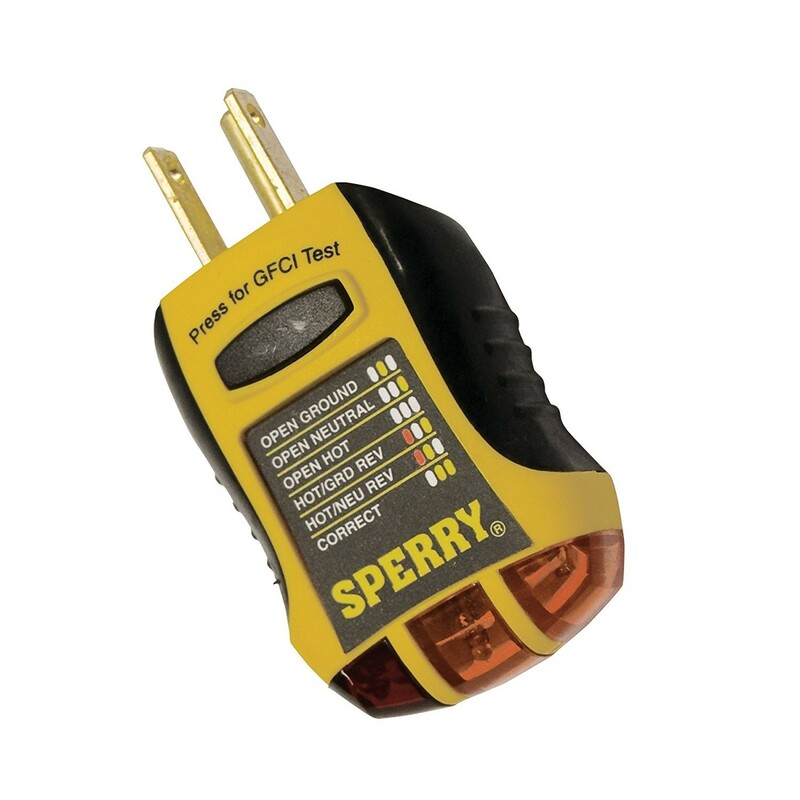 I use the Sperry Instruments GFCI Outlet Tester. The problem with any outlet tester is that although they can detect open ground or hot neutral reverse, they can't detect hot neutral reverse in the presence of an open ground. The only tool that can detect hot neutral reverse where no ground exists is the Fluke VoltAlert or another brand's similar tool. I use the outlet tester to see if there is an open ground. It is likely the case in these old motels. I use the VoltAlert to determine which pin is hot. The VoltAlert should indicate the small pin is hot. If the large pin is hot, hot and neutral are reversed. 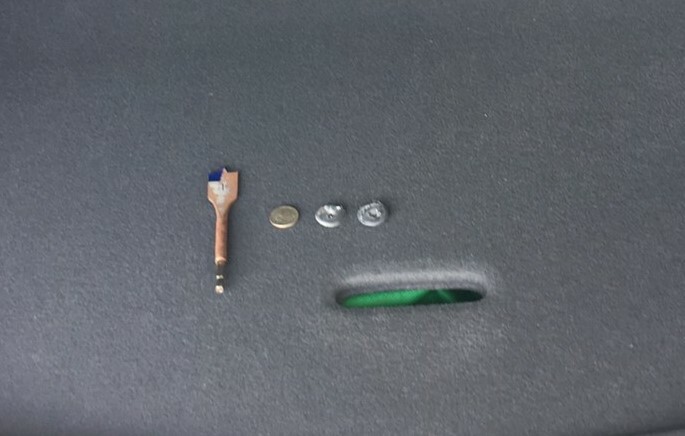 I have modified a two prong male to three prong female adapter by using a file to file the large prong down to the same size as the small prong. 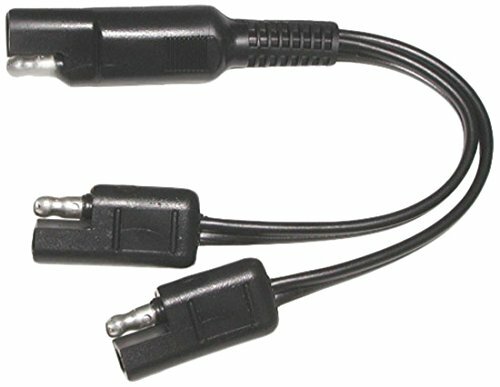 This allows the adapter to be inserted upside down thus correcting the reversed polarity. The last tool in this kit is an adapter I made which is a NEMA 5-15P to a NEMA 5-15R. This is wired internally so that ground and neutral are tied together. 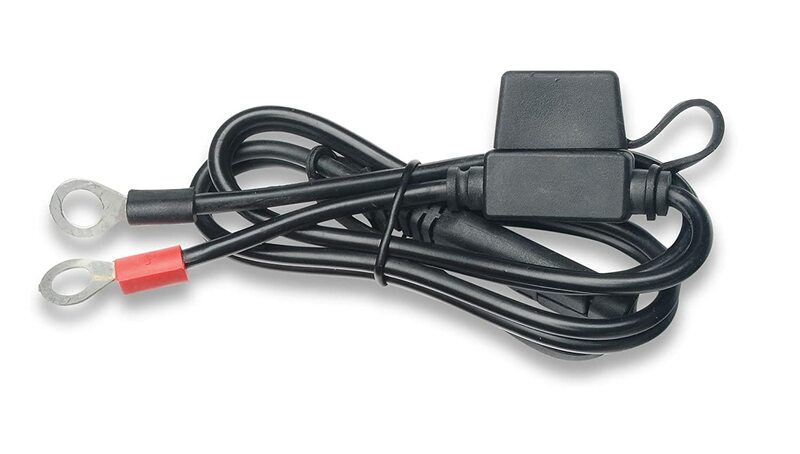 When this adapter is plugged into a properly polarized groundless outlet, or when plugged into my upside down adapter correcting polarity in a groundless revesed polarity outlet, you have a NEMA 5-15R which will be acceptable to your EVSE. None of the practices you find here are recommendations and in no way warrantied by me. I am simply sharing my experience. They say nothing succeeds like success. If you want to try to duplicate my success yourself, you do so at your own risk. Let me address some practices that some will see as safety issues. I am not an electrician. I have a cursory understanding of "the code". I also know that "code" requirements vary by location. When the unusual practices I have used in an emergency are questioned with regard to safety, such questions are not without merit. Safety deserves due consideration. Here are my thoughts on the safety of these practices. There are permanent wiring standards and temporary standards. Temporary wiring standards are more lenient and allow things that are not allowed in permanent wiring standards. For safety reasons it is important that temporary wiring be disconnected and removed from permanent wiring when not in use. It is important not to leave adapters connected to the wall that can safely be used with your EVSE but are not safe for use with other appliances or electronic equipment. Simply disconnecting your EVSE from the adapter while leaving the adapter plugged into the wall is inviting trouble. 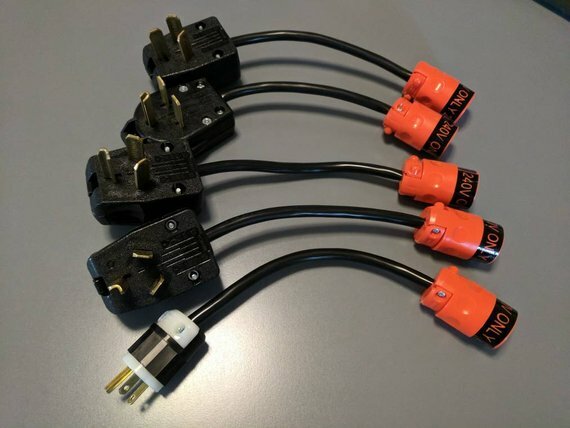 Store adapters that are only safe for use with your EVSE together with your EVSE. Do not remove safety labels from adapters. Where adapters are unlabeled and are not universally safe and foolproof label them as to their appropriate use. With regard to the issue of an adapter with neutral and ground tied together, it has been said that this adapter will compromise the grounding system in the permanently wired system it is plugged in to. I use this carefully labeled adapter only in an emergency in an outlet I have carefully determined to have no ground. The safety principle that applies in this case is that you can't compromise the grounding system in a system that has no ground. If you do not fully understand these practices or are not comfortable with the safety of them, do not use them. My Chevy Bolt purchased April 2017. I was planning a Florida to New York road trip on the auto train in the RAV4-EV when I attended an event at Maher Chevrolet in St. Petersburg, Florida. My initial reaction was it was a great car but I had no intention of trading my RAV4-EV at that time. As I continued planning my New York trip of about 1,600 miles of driving, I could see that the trip would be much easier in the Bolt. After much soul searching, on April 3, 2017 I went back to St. Petersburg and purchased the Bolt LT.
Who is buying the Bolt? 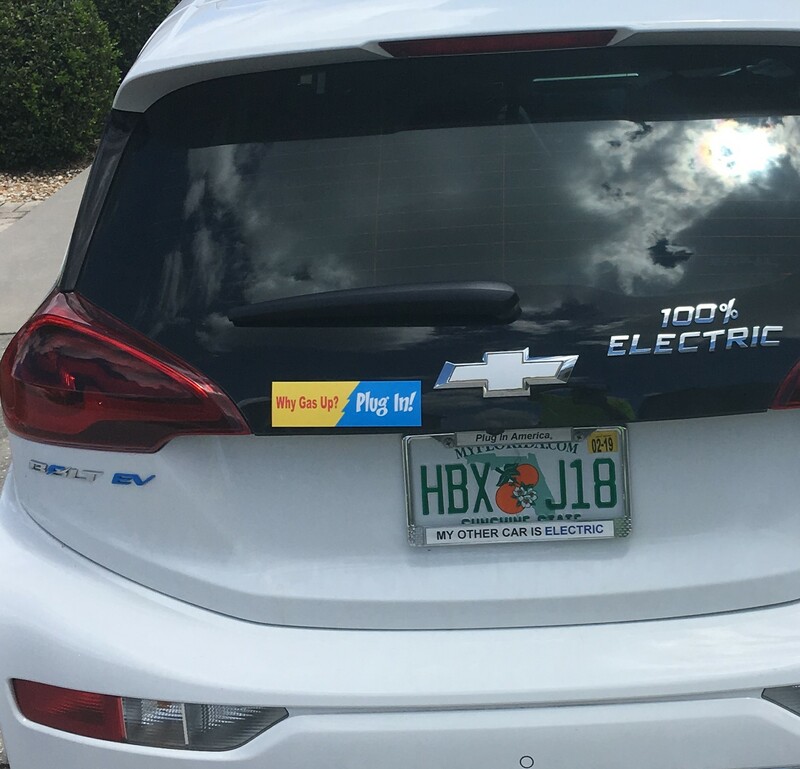 "70 percent of Bolt EV buyers are new to the Chevrolet brand"
"33 percent of Bolt EV owners did not own an alternative-fuel vehicle before purchasing the electric car"
"97% of owners report the car's range exceeded expectations"
"56% of Bolt buyers cite range as the No.1 reason for purchase"
For me, talk about MPGe seems Irrelevant. My Bolt does not use gasoline. They say, turn about is fair play. 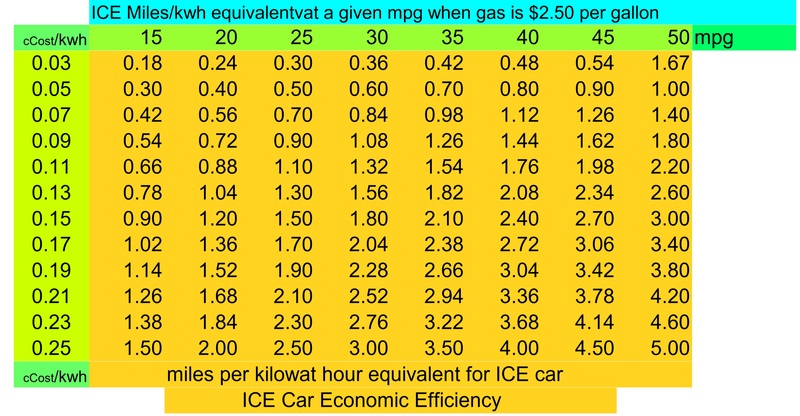 So I say what is the miles per KWH Equivalent (MPKWHe) for a gas car. I live in Florida with gas prices are 2.50 per gallon and electricity cost 9 cents per kilowatt hour. Plus I have a 5.4 KW solar array which means I am driving on sunshine. This chart is based on gas prices of $$2.50, so it doesn't work Where gas prices are $3.50 or more per gallon. However where gas prices are in that range, electricity prices are also likely to be higher. FWIW You can compare your Bolt to gas cars of different economic efficiencies. Here is the formula used to create the chart. If you pay more than the national average of $2.50 per gallon for gas or 25 cents (highest entry in chart) for electricity you can use this formula to compute your MPKWHe. For example living in California where gas costs $4 per gallon and Electricity is 12 cents per kilowatt hour off peak and if your gas car is a Prius that gets 50 miles per gallon, then 1/(4/50/.12=1.5 MPKWHe. If you drive less than 50 miles a day you can charge overnight at 110 volts and 12 amps on a dedicated circuit or a circuit with no other appliance running on that circuit. If you drive less than 100 miles a day you can charge overnight at 220 volts and 12 amps using the Bolt portable charging cord that came with the car and an adapter in an existing 220 volt outlet or one you have installed. I only used this a few times for testing purposes because it is limited to 12 amps and the LEAF cord supplies both the LEAF and the Bolt with 16 amps. Is it safe? What's inside? Adapter allows Bolt portable charge cord to be used at 220 volts. Click the link below for the best alternative. 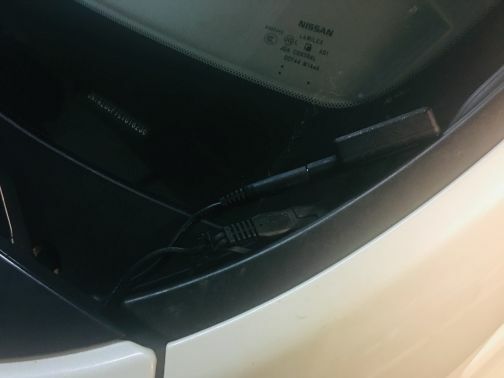 The EVSE that came with the car never pulls more than 12 amps from a 240 Volt source. As such a L6-15 will be more than enough. However, if you think you ever might replace the EVSE that came with the car with another EVSE such as a Clipper Creek HCS-40P or the HCS-50p with a NEMA 14-50 plug,then you may want to just install the 14-50 now. Using a higher current outlet for a lower current device, although it will work fine and not trip the breaker, risks a failure in the lower current device not tripping the circuit breaker causing the device to continue drawing excessive current and failing catastrophically with a possible fire in the device. EVSE failures causing fires are very unlikely. The greater the disparity between the EVSE draw and the outlet rating, the more likely a failure in the EVSE will fail to trip the breaker and become catastrophic. Clearly, the disparity in ratings will not be the cause of any failure. The low draw of the cord that came with the car makes this arrangement somewhat concerning when using low rated EVSE in high rated outlet. When a higher rated outlet is used it can be installed with correct wire for the outlet being installed and a breaker rated 20% higher than the expected draw. If and when the outlet is to be used with a higher rated EVSE, the circuit breaker can easily be upgraded. Heavy Duty 10 guage 25 foot extension cord. This is useful when the distance from the circuit breaker panel to the location of charging Is very long and expensive, but an existing 110 volt outlet exists. 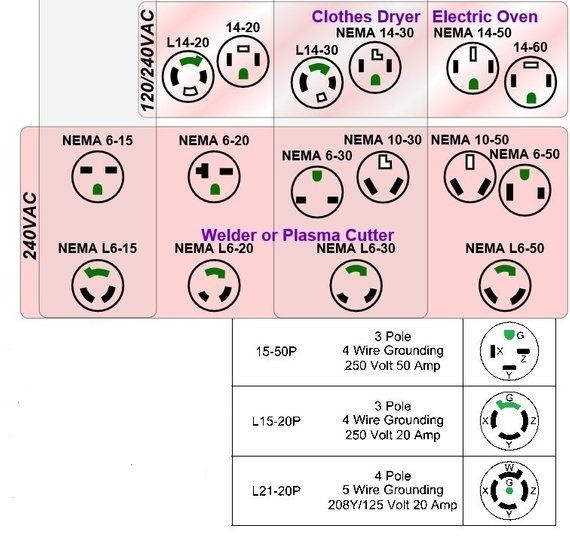 You can use an existing wire for a current 120 Volt outlet of 15 or 20 amps and replace breaker with the appropriate 15 or 20 amp 220 Volt Circuit breaker and replace the outlet with the appropriate 6-15 or 6-20 outlet using the existing wire. If the 120 Volt outlet is not a dedicated circuit, you may have to sacrifice the other outlets on the circuit. 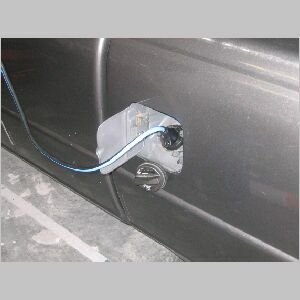 Having done that you can use the charge cord that came with the car with an adapter to charge at 220 volts and 12 amps. How to Double the Power of a Standard Wall Outlet. I purchased the Jdapter for my trip to New York in the Bolt. It allows the Bolt to charge at its maximum rate of 32 amps. Most public level 2 charging stations are 30 amps or less. to charge at a Tesla destination EVSE. Although this is posted here in the Bolt section, it has general applicability. If you are driving a Battery Electric Vehicle (BEV) on road trips beyond the range of your car in the US, there are some things you should understand. This topic is complex. If you want to understand charging in general and quick charging in particular world wide. See the link below. If your driving is limited to the US, you will encounter Chademo, CCS and Tesla superchargers. Typically Asian manufacturers selling cars in the US provide a Chademo Quick Charge port although, some Asian manufacturers are now using SAE CCS. US and European manufacturers selling cars in the US provide the SAE version of the CCS Quick Charge port. Tesla cars sold in the US provide the US Supercharger port. With a Tesla provided adapter, Tesla cars can use Chademo Quick Charge Stations. There are many Chademo only Quick Charge Stations in the US. Most of the newer non Tesla Quick Charge Stations are both Chademo and CCS in the US. Chademo is standard world wide. A Chademo car can Quick Charge at any Chademo Quick Charge Station anywhere in the world. A US CCS car can not Quick Charge in Europe. A US Tesla can not supercharge in Europe. 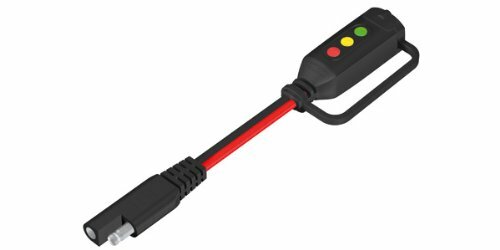 "Electric Vehicle Home Charging Basics"
"A Field Guide to electric vehicle service equipment"
"The Ultimate Buyerâ€™s Guide To Home EV Chargers: Plus Top 5 Picks"
When cut to the right length this item fits perfectly around the perimeter of the charge port. I purchased the green. I got mine from Home Depot. Or this as an alternative or in addition to the LED necklace. Or this attached to the inside of the charge port door. This video shows how the GM Charge port illumination looks In practice. See link below to purchase. GM charge port Installation instructions. If you want to enjoy maximum regen right from the start after charging your 2017 or 2018 Bolt, avoid doing a full 100% charge by using Hilltop Reserve. This will end the charging process at between 87% to 90% leaving the battery in a state where it can accept the additional charging from regen. This is especially useful if you live on a hill top. Some people use Hilltop Reserve to prevent 100% charge and preserve battery life. Here is an interesting way to set the 2017 or 2018 Bolt to charge to 80%. This requires an understanding of your rate of charge and how much time it takes to charge to 80% or whatever limit you want. This works well if you re routinely discharge to the same level and wish to charge to the same percent. 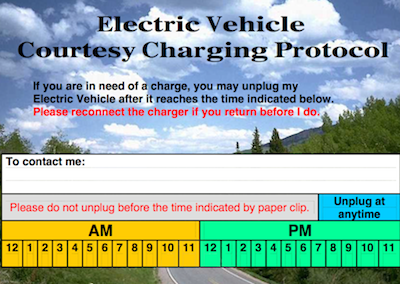 If you routinely discharge to widely different levels, this would be a cumbersome way to limit charging. To temporarily override a delayed charge event, unplug the charge cord from the charge port and then plug it back in within five seconds. A single audible chirp will sound and charging will begin immediately. To cancel a temporary override, unplug the charge cord, wait for 10 seconds, and then plug the charge cord back in. A double audible chirp will sound and charging will be delayed. View Eric Way's video for the procedure to limit charge to 80%. As of 2019 the Hilltop Reserve feature is replaced by the Target Charge Level feature which allows you stop the charging process at any point between 40% and 100% in 5% increments.This provides much more control compared to the previous Hilltop feature. If there is a power failure or if you unplug your charging cable while the car is locked during scheduled or immediate charging, the Car Alarm will go off. To view and prevent this alarm, touch Energy and then touch Energy Settings. Use the arrows to scroll through the list. Find Charge Cord Theft Alert: This feature allows the Theft alert to sound when there is an attempt to remove the 120V portable charge cord and the system is armed. Set the charge cord theft alert feature to On or Off. Charge Power Loss Alert: This feature allows an alert to sound when the vehicle is charging and loses power at the electrical outlet. Set the charge power loss alert feature to On or Off. Charge Status Feedback: Set the charge status feedback feature to Horn Chirps or Off. The question has been asked,"Where does it go?" referring to generated braking power when you are fully charged. There is no generated power. The wheels turn the motor which acts as a generator, but the generator is not connected to the battery when fully charged to prevent over charging. Therefore there is no load. Without a load, the motor now acting as a generator as it is turned by the wheels produces an open circuit voltage but no current is flowing. Therefore there is no power. Power is measured in Watts. Watts equals volts times amps. Current is measured in amps. No current, no power or drag or braking power applied to the wheels. So where does the generated breaking power go? Nowhere. No breaking power was generated. The intent of the feature is to prolong battery stand time. You may want to use the mode if the vehicle is going to be stored. The method to turn the mode off is the same to turn the mode on. 4- Tthen press and hold the Start/Stop button at least 15 seconds. The "Transport Mode On/Off" message will appear on the DIC. 5- Then turn the hazard flashers off. 6- Allow the vehicle to sleep at least 2 minutes prior to restarting. When the Transport Mode is on (active), enter the vehicle using the steps below. 1- Attempt to unlock the vehicle with the FOB. 2- If the vehicle is not responding to the FOB, press the PEPS door handle switch a few times (if equipped) then attempt to unlock the vehicle with the FOB. 3- If the vehicle is not responding to the FOB, the key must be used to enter the vehicle. 4- Turn the Transport Mode on/off using the appropriate procedure above. The radio in the Bolt comes on every time you start the car. For many, I'm sure, this is a nice feature. For me it is annoying. I don't listen to the radio. I know I am not the only one. Others have the same complaint. You can press the center of the volume knob and this will silence the radio until the next time you start the car. Another choice is to turn the volume all the way down. The problem with this is you won't hear other audio functions like OnStar, hands free cell phone calls or cell phone navigation. The following is the best solution. 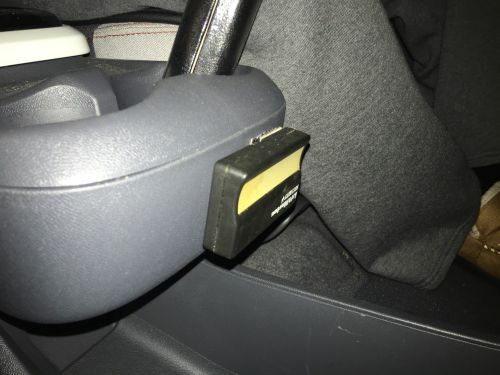 To silence the radio from car start to car restart. Start the car and while the radio is playing set the volume to an acceptable level. 2. then touch (Icon View - little circle with four dots). 5. Touch SXM. The most recently listened to SXM channel is displayed. "The Bolt EV is tested in its standard Drive mode, which represents the lowest amount of regenerative capability; Low mode, which ratchets up braking capability, recaptures more energy and could make for even better driving range in the real world." This is how you determine the reserve range remaining When you have exhausted your range and the drivers display shows the word Low where range normally appears to the left of the speedometer. 1 - Press the power button to turn the car off. 2 - Open the driver's door. 3 - Close the driver's door. 4 - Open the drivers door a second time and the range will replace the word Low. When you close the driver's door the second time the range will disappear. Although there have been some posts elsewhere about the use of Torque Pro with the Bolt and lots of talk bout loss of propulsion due to one or more weak cells, I haven't seen Torque Pro used to display all 96 cell group voltages in a single panel. setup Torque for the Bolt. 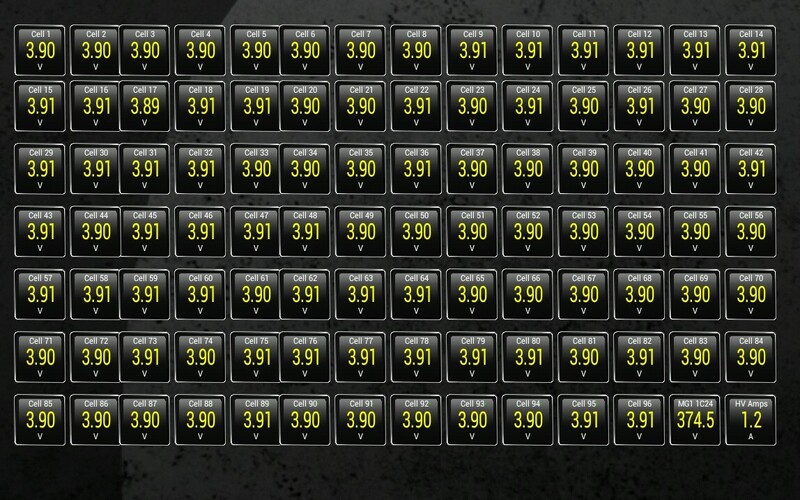 Sean's Bolt pids for Torque Pro. I set mine up on my ASUS Transformer Prime Android tablet. I found this to be too slow so I purchased a Chinese tablet EBay for $100. It is a Beneve M1031, 10.1 Inch Google Gaming Tablet PC Android 7.0 Quad Core Dual Camera Wifi 32GB. It is much more responsive than a transformer prime. I use the Veepeak Upgraded WiFi OBD2 Scanner which costs $19.99. The task of setting up the display of 96 data points with two digit precision took some time, but is worth the effort. I am happy to share the layout if you want it. Download and store this file in your hidden torque directory. Knowing my pack is healthy now and being able to monitor voltages in the future makes me much more comfortable with the Bolt. Especially on trips. The car was at 76% SOC when this data was captured. After starting the car the initial shift requires you to press and hold the button on the side of the lever with your thumb. This is necessary whether going into Drive or Reverse. All shifts into Reverse require that you press the button on the side with your thumb while shifting. However, you can toggle between Drive and Low without using that button. Simply pull back on the lever. You can shift to Neutral by pushing forward the shift lever. One peddle driving is engaged by puttin the shift lever in "L". People sometimes express concern that if you don't use the brake peddle the brake lights wont come on. Not to worry, brake lights work just like you were using the brake peddle. Once you are stopped they turn off. So put your foot on the brake while waiting for traffic light to change. Video demonstrates brake lights when using regen. The Chevy Bolt does not have a built in garage door opener (HomeLinkÂ® Universal Transceiver). Chris leaves the Bolt owner with the problem of deciding what to do with the Remote Control For the garage door. 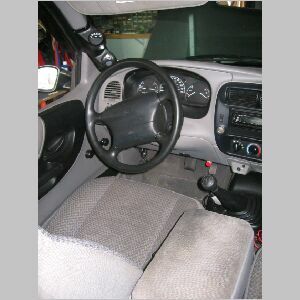 I have used self adhesive Velcro to attach the remote in front of the cup holders on center console. This location for the garage door opener Is extremely convenient For the driver to reach while at the same time being completely Out of the way. View of the center console with the garage door opener in place from the passenger side. View of the center console with the garage door opener in place from above. Windshild glare from the Dashboard can be a problem at times. Some Bolt drivers have found polarized glasses eliminate the glare. I have found that they reduce the glare, but do not eliminate it. Glare is a problem to varying degrees depending on where you live and drive. In northern latitudes the sun hits the windshield at a different angle than southern latitudes. This also varies at different times of the year. And of course different times of day. Polarized sun glasses will help to varying degrees depending on these variables. However for people like me who are required to wear prescription glasses while driving, polarized glasses can be an expensive or impossible nuisance. This product provides an attractive and effective solution. I ordered color #51 which is black suede. Glare from the white portion of the Dashboard can cause a reflection obscuring the drive's side view mirror at times. 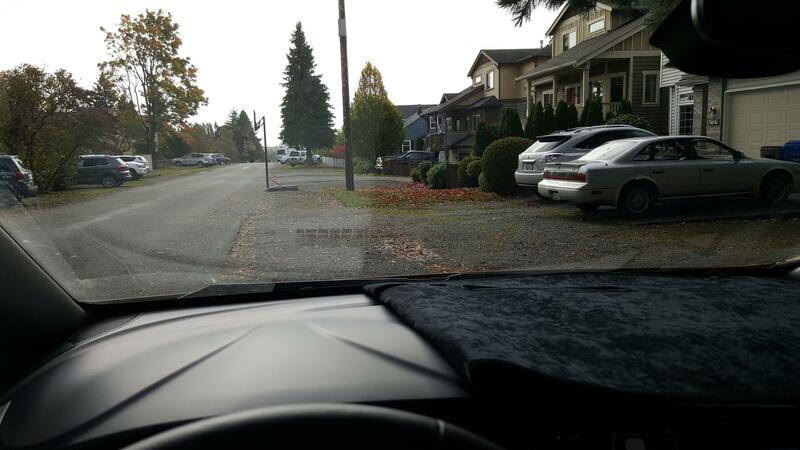 Bolt drivers in northern latitudes may not experience this problem for reasons similar to the windshield glare issue. But also they are more often exposed to overcast conditions or in nice weather driving with the window down due to moderate temperatures. This product provides an effective solution. Self adhesive protective felt. It has been on there now for about a year. It doesn't look bad and is adhereing well. Here is a video with more important information About changing the battery in the key fob and what to do if you get Locked out of your car because your key fob battery is dead. You will need a CR 2032 Replacement battery. 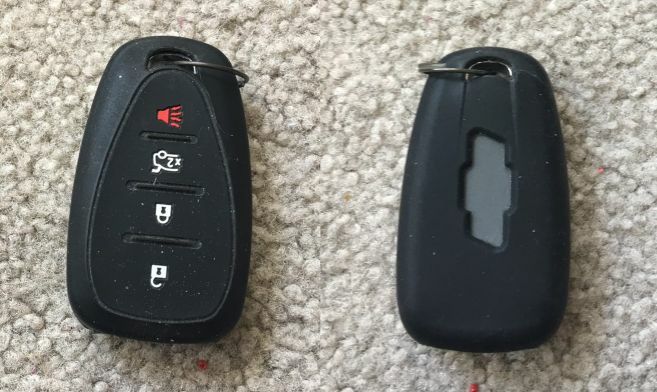 Here is a source for a key fob replacement. Installation is simple. The most difficult part of the installation is removing the cut outs for the bolts that hold the blocks in place that support the Deck. I used a 1inch wood boring bit in variable speed drill. Place the tip of the drill Bit at the exact center of the cut out area. Turn the pit slowly. It makes a perfect hole be exact size required. 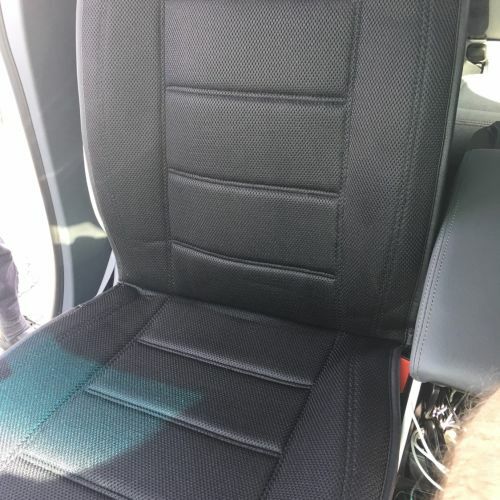 I have never found a Chevy Bolt seats uncomfortable. But clearly the edges of the seat are hard. 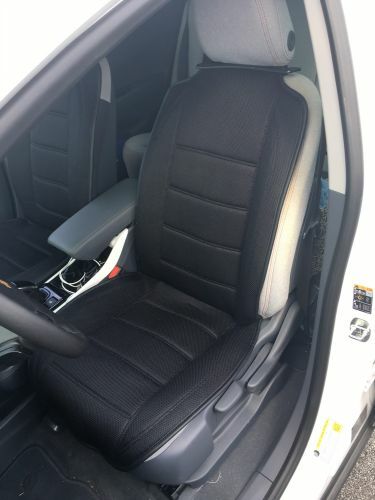 This is the best fitting and best looking improvement to Chevy Bolt seat comfort. This is perhaps a poor imitation of Premier Dashboard lighting In my LT. I used the one meter length of the EL Neon tape. It doesn't quite go all the way from end to end as you can see. I ordered the EL neon tape and the tools to install it From Amazon. It is plugged into a USB port on the end of a cigarette lighter adapter. The Bolt is not Obviously an electric car. To the casual observer it looks like any other car. I have added some emblems to both the front and back of the car to make it more obviously an electric car. 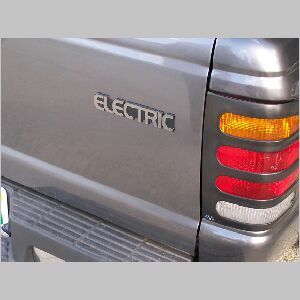 At the back of the car I have added an emblem that indicates 100% electric. Other interesting things to note In this image are the license plate bracket , The Bumper sticker Which states "Why gas up? / Plug In!" and the Chevy bow tie which as been Covered In white vinyl. An emblem has also been added to the front of the car to help identify it as an electric car. Also note the white bow tie. The Bolt is obviously not a Super Sport model. But it's 0 - 260 MPH Time of 6.5 seconds is faster than many super sport models that bore that badge. So has a joke I hated the SS emblem to my Bolt. The first Chevy super sport was the 1961 Impala with a 409 cubic inch engine. 0 to 60 time for this car was 7.8 seconds. The super sport option cost $53.80. 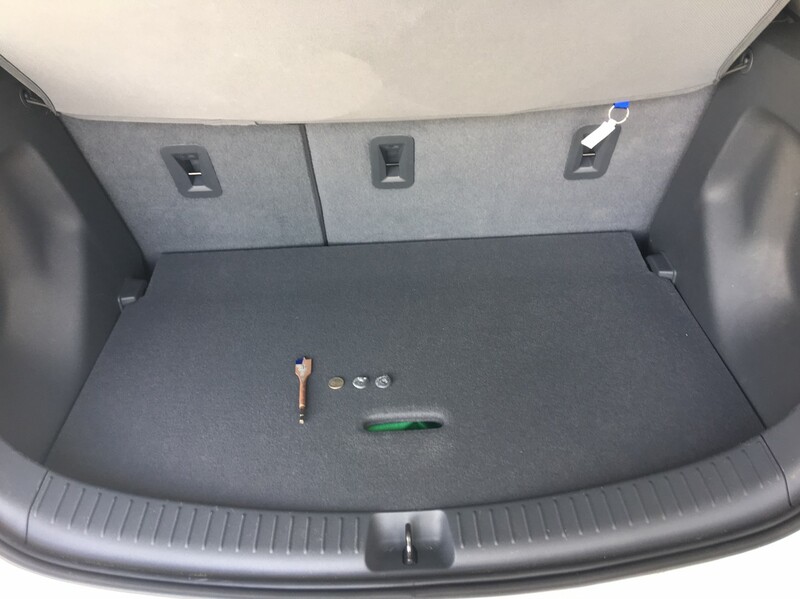 I have removed the insert under the trunk floor and cut the protruding screws short so I can store charging accessories etc. I have a 3/16" aluminum plate cut in half as my new trunk floor. In a rear end collision the rear plate will slide under the front plate. I have stored here my Jesla portable UMC with adapters in a Nissan LEAF case, my Jdapter, a 12 volt tire air compressor, a tire repair kit, a 12 volt booster battery, a 50 foot 12 gauge extension cord, my 110 volt two prong outlet kit, my supplemental adapter kit for outlets not supported by Jesla and some other small items. 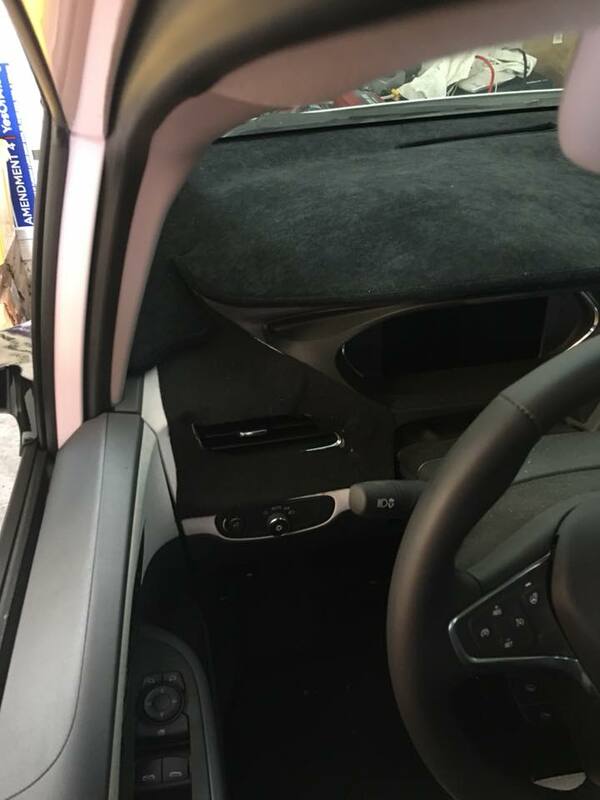 It has been observed that the foam insert may be part of the rear crash protection. On the other hand it may not be. Consider the shape of the depression. Consider the fact that it is used by GM for the sub Woofer. Consider that my wheel well space is not empty. The space in the photo is mostly empty. But all things considered, I must admit, any modification to an automobile has safety implications. Simply the nature of what you carry in the trunk has safety implications. Better to be safe than sorry. So I would say if you are not comfortable with the safety of this modification, don't do it. If you do, you do so at your own risk. Here is a Chevy Bolt trailer hitch rated for 200 pounds tongue weight and 2,000 pounds towing weight. This should not be taken as a recommendation to use the Bolt for towing. This is included for information only. Use the Bolt to tow at your own risk. From the Ownes Manual "Driving and Operating page 199.
load from your trailer will be transferred to your vehicle. 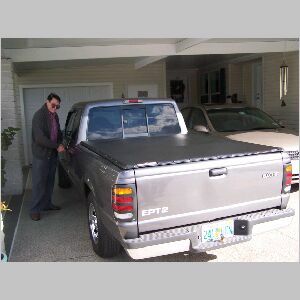 cargo and luggage load capacity of your vehicle. How to wire the Bolt for connecting trailer lights. The GVWR of the Bolt is 4467 and the curb weight of between 3563 lbs. and 3580 lbs. With a driver and no passengers or cargo, you have a towing capacity of 750 lbs. GVWR for a trailer at best without exceeding the GVWR of the Bolt. If you exceed the GVWR of the Bolt, you will lengthen the car's stopping distance. There is a difference between traveling cross country at highway speeds while towing and driving around town five or ten miles at 35 or 40 mph while towing. the all electric Tesla Model 3 and Chevy Bolt are the proof. Over time the purpose of this site has changed from advocating for the feasibility of the electric car to documenting my experience with production electric cars I have owned and driven over the recent years. Ten years ago the only production EV was the Tesla Roadster. The best example of a tried and true EV was the RAV4-EV, many of which were crushed, and last one of which was produced in 2003. Today, in 2017, we have proof of concept in a score of models from a dozen manufacturers. The modern EV has evolved since its revival in 2011 when there were just two affordable plug-in cars from Nissan and Chevy. We have advanced from sub 100 mile cars to plus 200 mile cars. At this point people have questions about their new EV or seek help in selecting the right new or used EV to meet their needs. My purpose now is to share my experience with interested drivers more than persuade those less interested. This is about defining the problems (economy, national security, foreign oil dependency and the environment), understanding the solutions and solving the problems. Although motivation is shifting towards simply choosing the most cost effective solution. The media likes to talk about plug-in electric cars as a niche market and offers as proof that for five years they represent less than 1% of the cars on the road. A further point offered as evidence that plug-in electric car sales are low is that President Obama had a goal of one million plug-in electric cars on the road by 2015. We failed to meet this goal by more than half at little over 406 thousand by year end 2015. The failure to meet an unrealistic goal is not proof of slow growth. In a market where conventional car sales have gone from 17 million in 2007 to 10 million in 2008 and have slowly climbed back to 17 million in 2016, the number of plug in electric cars on the road has doubled five times from 17,000 to 570,000. Plug-in electric car growth is exponential while conventional car growth struggles to reach the pre-recession peak of over 20 million in 2005. The number of plug- in electric cars on the road must double seven times to reach one percent. However the next seven doublings will replace conventional cars. Although it takes seven doubling to get to 2 million and one percent, the next seven doublings are approximately 2%, 4%, 7%, 14%, 28%, 55% and 100%. 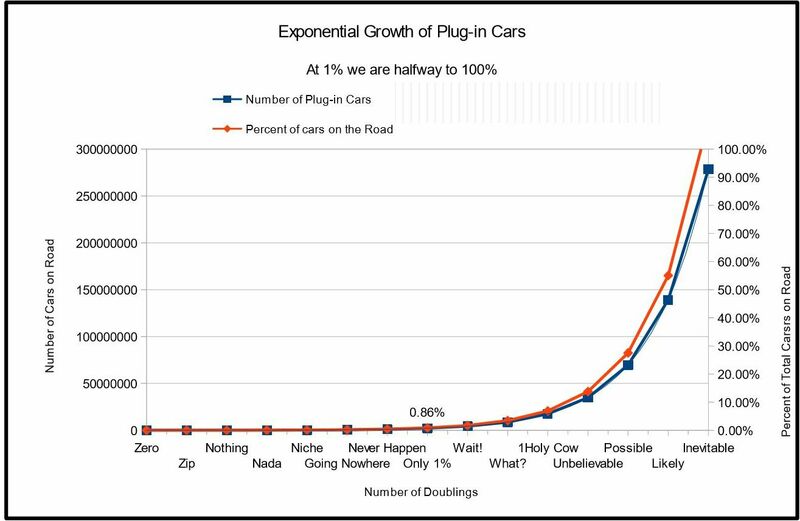 All of this rapid growth has occurred in a down conventional car market with sub-100 Mile range plug-in electric cars. 2017 is the first year of the plus 200 mile range electric car. We can expect exponential growth to accelerate as the affordable plus 200 mile range cars like the Chevy Bolt, Tesla model 3 and Nissan LEAF hit the market this year and the years to come. We are progressing rapidly regardless of the intentions of the oil industry and the current administration and the media's under-estimation of disruptive technology. Electric cars, renewable energy and exponential growth, all of which are sweeping the nation and the world. This is not just because of consumer concern for the environment but because total cost of ownership is much lower and the product is superior. Already climate deniers are installing solar on their schools and churches. They are buying electric cars for their police. It wont't be long before they are installing solar on their homes and driving their own electric car. For now, as a result of over 1200 miles of driving, I feel I have achieved my goal of a plug and drive vehicle with a range of 35 to 40 miles. Although my longest trip exceeds my goal at 41 miles, so far. It is everything I expected. The lack of power steering is sufficiently acceptable that I have no current plan to add it. To be quite frank, although this car is a viable alternative to its gas powered previous life, it is not its equal. The V6 motor I removed was very responsive with the 5 speed transmission. Neither is it equal in pollution or foreign oil dependence. For me, this is the vehicle in which I will do over 90% of my driving. One thing I am concerned about, is that this car be used as an example of the limitations of electric vehicle technology. The limitations of this vehicle reflect my limitations. For anyone interested in the true limitations of the EV technology, use the Toyota RAV4 EV, the Ford Ranger EV, the Tesla or the EV1 (800 crushed by GM) as the standard. I converted this vehicle because the automobile industry has abandoned this technology, for reasons I will never understand, leaving me no alternative, but to build an inferior substitute. Although my car meets my requirements and is a wonderful alternative to pollution and foreign oil dependence, it is no match for GM or Toyota automotive engineering. Chevron has taken steps to see to it that I canÂ’t have NiMh batteries in my car. I would have bought them if I could have. The result is that my vehicle has half the range it could have. The result is, I imagine, just what Chevron wants. My car looks to be half what it could be, to anyone forming an opinion about Battery Electric Vehicle Technology. My car is here to show you that battery Electric Vehicles are viable. It should not be used as an example of the limitations of the Technology. Almost 10 years have passed since this conversion was put on the road and this was written. The outlook for the electric car at that time was uncertain. Things have changed dramatically in a very positive way in the last ten years. In 2007 the Chevy Volt concept was presented and promised for 2010 production. In the end GM came through on that promise but in 2008 it was only a dream. In 2008 Tesla started deliveries of their Roadster EV. For most people in 2008 a conversion was the only electric car choice. It was in December of 2010 that things began to happen when Nissan and GM began deliveries of the LEAF and the Volt. I reserved my Nissan LEAF on the first day April 19, 2010. 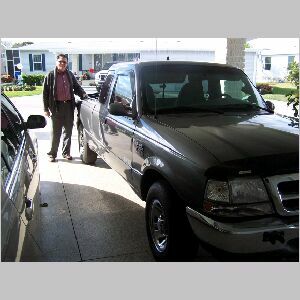 I took delivery from Hill Nissan in Winter Haven, Florida on December 15, 2011. The range on this car was 73 miles. Two years later I purchased a used 2012 Toyota RAV4-EV from Downtown Toyota in Los Angeles. 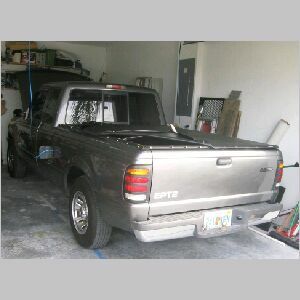 On November 26, 2013 it was shipped to me in Winter Haven, Florida. The range on this car was 142 miles. 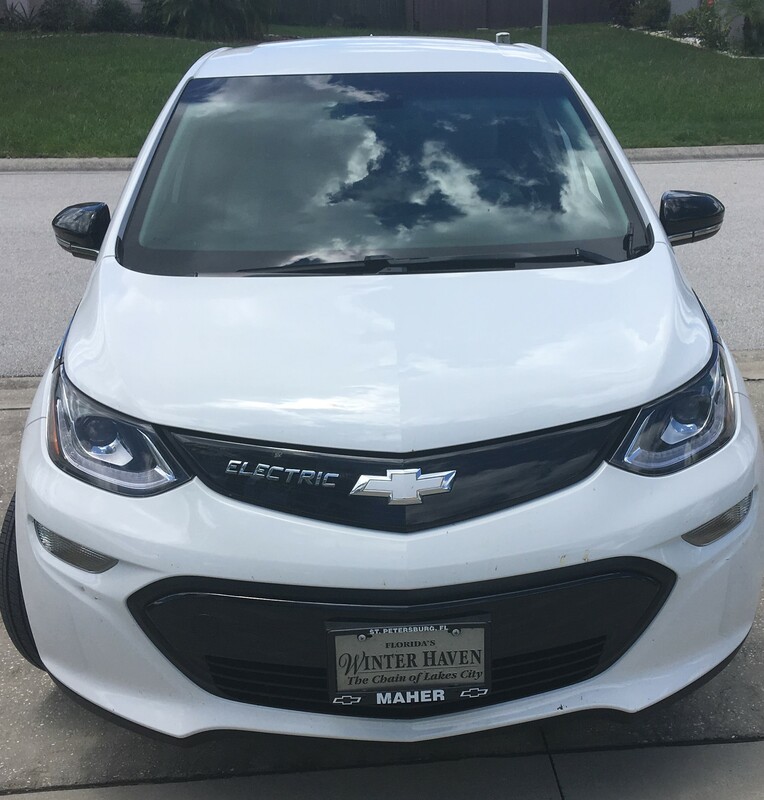 About three and a half years later on April 3, 2017 I purchased a 2017 Chevy Bolt from Maher Chevrolet in St. Petersburg, Florida. The range on this car is 238 miles. On February 16, 2015 we installed a 5.4 kw solar array at our home. In 2011 17,000 plug-in cars were sold. As of the end of year 2016, 570,00 plug-in cars were on US highways. So we are seeing electric vehicle progress not just at our house, but across the country. The number of plug-in cars have doubled five times in five years. And that doubling has occurred with sub 100 mile cars. Who knows what might happen with plus 200 mile cars now emerging at a dealer near you. "This bumper Sticker is available from"
"More stickers and merchandise available at Plug-in America"
Where is the media, in Austrailia? Before you can solve a problem, it needs to be understood and defined. We live in an Oil based economy. As Oil prices rise our economy approaches the breaking point. Terrorists come from the same places as Foreign Oil. A portion of your foreign oil dollar supports terrorism. Our Foreign Oil Dependency puts our military in harms way, in a war funded by long tem debt to China, placing our economic future in the hands of our Foreign creditors. Our automobiles pollute our cites with noxious gases we call Smog, a contraction of smoke and fog. At the same time we produce green house gasses which are warming the planet. the less expensive and often superior alternative. Often, failure to abandon the status quo. You may not agree with all the problems listed here, but it is hard to imagine a reasonable person who could not agree with any of these problems. It seems any one of these problems would be enough to motivate us, as a Nation, to dramatically reduce our oil consumption. We are racing to a critical point. Each of these problems can be traced to our lack of concern, as demonstrated by our lack of corrective action, related to excessive Oil consumption. Troy is, in some sense, my home town. I went to Troy High. The history of Troy is not unique in our nation. But it is relevant to me. Troy was an important thriving industrial town at one time. From the downtown train station, you could travel to NYC, Boston or Chicago. Trolleys filled the streets. It had theaters and parks and a National League basball team. It makes you think about what can happen to prosperity and a way of life. Of course this video is not about what Troy is today. People still live happy lives there. But still, this video makes you think about sustainability, and the choices we've made along tthe way. Things will change and they will change based on the choices we make. 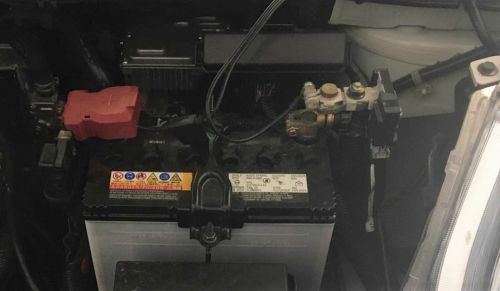 RAV4 EV, EV 95 battery. There are 24 of these 12 volt batteries in the RAV4 EV providing 288 volts, 95 ah, 28Kwh and weighing about 41 lbs. for a total battery weight of about 1000 lbs. Stan Ovshinsky filed several patents for NiMH Battery technology. He sold a 60% interest in his company, Energy Conversion Devices (ECD)/Ovonics, to GM. After suing the State of California to delay enforcement of the Zero Emissions Mandate, GM, as leases expired, recalled the EV1s and crushed them. It then sold their interest in control of Ovshinsky's Company to Chevron. I have recently been told that my opinion that NiMh is the best battery technology is incorrect. I am afraid that in my attempt to illuminate and educate the public about an overlooked and, in my opinion, prematurely abandoned technology, I have not mentioned other valuable alternatives. Lithium Ion, Firefly's new lighter Lead acid, LiFePO4 and super capacitors are all promising developments for energy storage. Fortunately all are being reported and investigated by the media. And, this is good thing. Unfortunately, I have never seen an accurate presentation of the importance and value of NiMh technology in the media. I have never seen a valid reason why, for example, The Chevy Volt, presented by GM to the public in January of 2007, must wait for a Lithium Ion battery breakthrough until the end of 2010 to be introduced in limited production. So I apologize for my imbalanced presentation of the facts. The fact is, that NiMh batteries have been in continuous production (more or less) since the first Toyota RAV4-EV used them in 1998. There is no better consumer road tested EV battery. These Panasonic batteries are in use today in the Toyota Prius and the Ford Escape hybrids among others. The chemistry used today in successful hybrids, is the same as that used in the RAV4-EV. This not to say, that all NiMh batteries are the same or as well proven, and of the same quality. GM has shown over and over again thatt it can fail at what Toyota has succedded at. Recently (reported in June 2008), GM produced the "Mild Hybrid" sold as a real hybrid, using NiMh batteries from Cobasys. 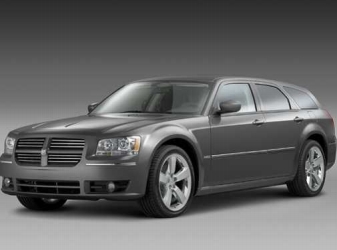 These cars were recalled because of leaking batteries. I do not propose that any battery technology is superior to any other. Each has advantages and disadvantages. I only want to see these pros and cons played out on a level playing field. I believe NiMh has a handicap, not technology related. This handicap is not in the interest of consumers, the environment or national security. In this comparison Lithium is lighter and smaller, with Lead being heaviest and bulkiest, and Nickel being in the middle. Lithium is the best choice for a car like the Tesla Roadster. For a Family car like the RAV4-EV, Nickel is viable, as is Lead to a lesser degree. Where price is a concern, Lithium is the most expensive, with Lead being the cheapest, and Nickel being in the middle. For a high end performance car like the Tesla, Lithium is the best choice. For a family car like the RAV4-EV, Nickel is a good choice. Where price is critical, Lead AGM battery technology, such as that being developed by Firefly is promising. 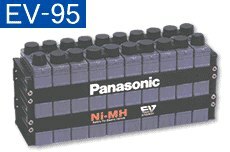 With the "possible" exception of lead, no technology is better proven for an EV, than NiMh as implemented by Panasonic in the EV95 battery. Lithium is enjoying a successful, but much shorter and smaller road experience trial. All of these technologies can benefit from the synergy of super capacitors load smoothing. Super capacitors used by themselves may even have a place in the evolution of the future EV. All technologies should participate in open and equal competition for their respective place in the future of EV propulsion. Their Side of the story Apparently, this article is no longer available. The main stream media has changed its tone recently. See March 2009 Road and Track which features the 10 year old Toyota RAV4 EV along with several of the newer EV offerings. Below is the answer to this no longer available Car and Driver article. "Although a significant marketing effort was undertaken for the RAV4-EV, we only sold about 300 vehicles a year. . . technical issues tied to electric vehicles remain a major hurdle. . . .It is cost-prohibitive to replace an EV battery. Although Toyota's electric vehicle sales have proved disappointing, Toyota was able to leverage valuable technology from the development and sales of the RAV4-EV. . . For example, some of the technology involved in the Hybrid Synergy Drive system on the next generation Prius came from the RAV4-EV." How come I didn't know about the RAV4 EV, did you know about it? Chevron sued Panasonic for making the EV-95 NiMH Battery and Toyota for using it in the RAV4 EV, in the amount of $30 million. 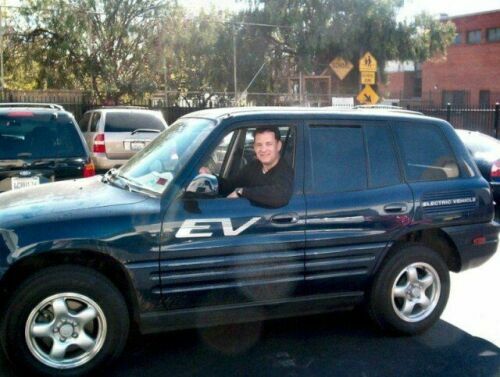 Production of the EV-95 NiMH battery stopped and consequently the RAV4 EV. The RA4 EV is running today with the original batteries, many of them have over 100,000 miles. Toyota still uses a smaller NiMH battery in their Prius and Camry Hybrids under agreements with Chevron. Toyota will not make their Hybrids plug-in without consent from Chevron. Toyota can only produce a plug-in vehicle, without permission from Chevron, when they have an alternative battery Technology, or when the NiMH patent runs out in 2014. The events summarized here are actual history and the outcome is history. The nature of the legal complexities that motivate the players involved are speculation and not important. What is important is that we know what is possible. We know, technologically, what can be done, because it has been done. We know what the problems are that need to be solved. We know how to solve them. Finally, we know that the outcome we have is not in the best interest of this Nation. This Pull behind Generator converts the Toyota Rav4-EV into an unlimited range Serial Hybrid. The "Spirit of DC" is an unlimited range Plug-In Parallel Hybrid conversion. Here's the difference between a Serial Hybrid and a Parallel Hybrid. A Parallel Hybrid is like a normal car, with the gasoline engine driving the wheels mechanically through one or more of the following mechanical mechanisms like a clutch, transmission, drive shaft, differential, or Constant Velocity joints. A serial Hybrid has a gasoline engine or some other form of Internal Combustion engine (ICE) that is not mechanically connected to the wheels in any way. It is mechanically connected to a generator that produces electricity. The ICE and generator together called a GenSet, which drives the wheels indirectly through an electrical connection to the electric motor which ultimately drives the wheels. A Serial Hybrid is preferable because it is more efficient. Most of the mechanical drive train can be eliminated. The result is the vehicle is lighter. The ICE can be smaller because it only needs to be big enough to charge the batteries. It does not need to handle the load of starting or climbing hills. Plus, for short trips, the ICE does not need to run at all. The serial hybrid is also being called and Extended Range Electric Vehicle (EREV). A pure Electric Vehicle is also called a Battery Electric Vehicle (BEV) or Zero Emissions Vehicle (ZEV), a term shared with Hydrogen Fuel Cell Vehucles (HFCV). We also have vehicles that travel less than 25 mph, Neighborhood Electric Vehicles (NEV)and Low Speed Electric Vehicles (LSEV), and vehicles that travel less than 60 mph, Urban Elecctric Vehicles (UEV). LSEVs and NEVs are often capable of higher speed, but restricted to 25 mph by a govenor, to meet legal restrictions, because of inability to meet saftey requirements at higher speeds. Low-speed electric vehicles (Neighborhood Electric Vehicles manufactured in compliance with the National Highway Traffic Safety Administration standards for low-speed vehicles in 49 C.F.R. 571.500) are allowed to operate on streets and highways with a posted speed limit of 35 miles per hour or less. Some states have raised the maximum speed for LSEVs to 37.5mph (60kph). Such reclassified vehicles are called Medium Speed Electric Vehicles (MSEV). Personal opinion: LSEVs and NEVs give a bad name to Electric Vehicles in general and promote the golf cart point of view held by so many with regard to the Electric Vehicle. I mention them here for completeness and to to help sort out the confusion caused by the alphbet soup of acronyms used to characterized these various vehicles. Ledger "Plug-In Electric Cars Solve Problems"
Ledger "Flex-Fuel Vehicles Can Help Decrease Foreign-Oil Addiction"
Thanks to the Ledger for "Auto Battery Power Suppressed"
"Formula One, Wall Street Journal"
"Thanks to the Ledger for "'Mild Hybrid' Isn't Real Hybrid"
Both Gasoline and Electric Cars are supported by an Infrastructure. Half the power produced in this country is from sources other than coal. These inlude wind, solar, hydro electric, geo-thermal, natural gas, oil and nuclear. It is only in recent history that wind, solar and geo-thermal have come into the equation. What is important is that they are an increasing proportion of the mix. The problems of coal fired power plants are well understood. Coal is being replaced by natural gas in new plants. In Claifornia where Electric Cars are most likely to emerge first, in large numbers, coal is not a significant part of the equation. It is often predicted that if 100% of the cars were replaced with Electric, we would need a significant number of new Coal Powered power Plants. This is the worst case. But for argument sake, let's assume it is true. The assumption is that this would be a bad thing. All cars will not be replaced with electric cars and not all electric cars will be powered from Coal burning power plants. But, if this did happen, we would have totally eliminated our dependence on foreign oil, reduced the price of oil and food, diverted oil dollars from funding terrorism, reduced pollution and global warming. But still this possibility, however remote, is presented as a bad thing. Building coal fired power plants is not the best approach, but it is far superior to our current course. What the more likely outcome is, that we will not replace all our automobiles with electric cars. We will not power those electric cars from new coal burning plants but from, largely existing, power plants and some new power sources such as wind, solar, geo thermal, natural gas and yes, possibly, some well scrubbed coal plants. We like to talk about transmission lines and their efficiency losses. The entire electric vehicle infrastructure has been examined in an attempt to diminish the perceived benefit of the electric car. Still, it is most efficient system of personal transportation. We feel no obligation to examine the true cost of the gasoline car, beyond what can be measured at the tail pipe or the price of gas at the pump. Gasoline cars require an infrastructure also. It does not hold up well, under close scrutiny. The costs to the environment and the economy are excessive. This infrastructure is the elephant in the room, that we are so accustomed to, it is taken for granted, and so unnoticed as to be invisible. Start with the filling stations, a blight on the landscape, consuming large amounts of real estate. Creating environmental problems as ancient underground fuel storage tanks corrode and leak fuel in to the environment for years unnoticed. Now costing excessively to correct. With the filling stations comes the advertising along our highways indicating distance to the next filling station. One for each brand. Highways traveled by gasoline fuel tankers delivering gasoline to all these filling stations. These vehicles themselves consuming fuel and producing emissions. Pipelines traversing the landscape delivering crude oil from ports to refineries or from oil fields to refineries. Pumps are required to move the oil through these pipelines. We can't ignore the issue of how that oil gets to the port so it can be pipelined to the refineries. The transoceanic Tanker consuming fuel and producing emissions of its own. We can only hope there are no spills on the way. Refineries themselves consuming energy and polluting as they refine crude oil. The infrastructure behind the gasoline car is massive and dedicated. It has no other purpose. Unlike the electric infrastructure which services home, industry, public transportation and, potentially, personal transportation. Don't let anyone tell you; "The Electric Car is the same as a Gasoline car, it just has a longer tail pipe." The gasoline car has a tailpipe supported by an infrastructure consuming oil and producing emissions at every step in the process. Just because the infrastructure is in place and we live with and accept its consequences on the environment, doesn't mean we can ignore the cost in comparisons with the Electric Car. Tax payers pay for gasoline not jus at the pump but in their income taxes. The government pays the oil Industry huge subsidies for exploration, refineries etc. This hidden cost hides the true cost of gasoline and, as high as it is, and makes it seem more tolerable. So we can go on consuming bravely, regardless of the consequences. LEAF Test Drive, watch for first peak under hood at the end. The first fast charging station opens. Notice, no credit card slot. Offshore oil drilling can never lead to Foreign Oil Independence! Do the math. 3 billion divied by 20 million equals 150 days. Stop the Spill Baby, Stop the Spill! You may say that I am a dreamer. Well I'm Not the only one. You can be part of our dream, of renewable energy from the Sun. to a German-South Korean joint venture. sale to Robert Bosch, the world's largest car-parts maker, and Samsung, a South Korean maker of cell phone batteries. The sale marks the end of Chevron's eight-year involvement in the NiMH Battery business. Sad to see American technology controled offshore. Happy that the technology may finally be in the hands of those who might exploit it for public hood. We'll see. Will President Obama Make it Happen WITH THE STROKE OF A PEN? Or did Chevron simply put this technology beyond the reach of President Obama's pen. "A Toyota executive overseeing research said Thursday a A battery breakthrough is needed for electric vehicles to become mainstream"
We have heard this from GM executives since before the Volt announcement in January of 2007 untill just recently. It looks like Toyota has picked up the baton. Our new, largest Auto Manufacturer, seems to have contracted the same disease as our old, largest Auto Manufacturer. If the battery is a boat anchor, at the end of its range, what is the engine and transmission, while within the battery range? A properly designed car minimizes the weight of both and is optimized for the most common requirement of the owner. In a car driven mostly extended distances, a battery is a boat anchor, and a plug-in is not required. But most drivers, drive under 40 miles per day, in which case, an unnecessarily heavy engine and transmission, are the boat anchor. A paralle Hybrid is a refinement of a fossil fuel driven car. A series or serial Hybrid is a refinement of an electric car. A parallel Hybrid suffers from all the weight and cost of any fossil fuel driven car, plus the burden of battery and electric motor. Indeed the engine and transmission are the boat anchor in these cars. A series Hybrid achieves far greater efficiency for local driving and carries a much lighter and more efficient Genset to provide extended range for the annual trip to Grandma's house. Although Project Better Place is an admirable model, Battery Swap stations across the geographic landscape of the U.S. is a major challenge. Another alternative would be series Hybrids with optional Gensets and Genset Swap stations. Far fewer swaps required. All year long, local driving can be done without the weight of the Genset. Then, when it is time for the annual trip to Grandma's, you go to the swap station, swap-in the Genset and start out to Grandma's. No need to stop except for fossil fuel for the Genset. til you get there. A new High Speed Rail Plan, something you won't see on the evening news. The role of GM in how we got here. Buy it from New Day Films. is capable of indefinitely maintaining a speed of 40 mph during daylight and attaining speeds of up to 85 mph. Larry is a contender for Progressive Automotive X PRIZE Competition. This brutally honest article about the Tesla Roadster in the Los Angeles Times by DAN NEIL gives the straight scoop on this highly acclaimed car. But still, the Tesla Roadster comes through. Ford, without a lot of fus, has been working on Plug-In vehicles. that they keep going backwards. Funding for banks has been getting a lot of attention lately, but the historic Congressional bailout package also delivered a victory for plug-ins, another demonstration that PIA's (Plug-in America) advocacy is paying off. The package included a federal tax credit starting at $2,500 for vehicles with battery packs holding a minimum of 4 kWh of energy. The credit increases $417 for every additional kilowatt hour to a maximum of $7,500. The Chevy Volt would qualify for the maximum credit, so if GM can bring it in at $35,000, consumers could pay less than $30,000 for a plug-in car. Chrysler steals Thunder from Volt! "We strongly discourage NHTSA from applying either PHEV or EREV technology in any significant volume in its ... model during the 2011-2015 timeframe." The $300 million prize for a better car battery is not necessary. What we need are plug-in cars, PHEVs and BEVs. When do we need 'em, now! How do we get 'em, with the proper incentives, properly administered. Part of McCain's Plan is a $5,000 tax credit for ZEVs (Zero Emissions Vehicles). Unlike the $300 million prize, a move in the right direction. For example, we have a $1,000 Hybrid incentive. What does GM do? They build a "Mild Hybrid" to qualify for the incentive. That's how they compete. If the incentive were properly administered, the "Mild Hybrid" wouldn't qualify, and they wouldn't build it. The government introduces a small businesses incentive for vehicles weighing over 6,000 pounds, GM introduces the Hummer. This incentive peaked at $125,000 in 2007. Do incentives work, you bet they do. The first task of the current administration, was to dismantle incentives that favored BEVs and Hybrids. The BEV incentive was dropped and the Hybrid research program was converted to a Hydrogen Fuel Cell Program. A 10,000 or $20,000 or more incentive per vehicle would go a long way towards getting PHEVs and BEVs on the road. Too bad the government can't do for electric vehicles what it did for the Hummer The incentive should be ramped so that as the population of PHEVs and BEVs increases, the incentives are reduced. This will motivate buyers to get in early. Too bad our candidates don't understand the capabilities of the technologies we already have and the power of incentives to apply these technologies to the problem at hand. Plug in, we have the technology and Toyota RAV4 is the proof. Not to mention the AC Propulsion, E-Box and the Tesla roadster. How about the AFS Trinity? This Super capacitor PHEV is on the road. Technology we have. Politicians who understand the technology and the power of incentives we don't have. The right move for the wrong reason. The Saturn "Mild Hybrids" are not what we need. The failure of 9,000 Cobasys NiMH batteries in GM's Green Washed Saturn's is not the motive we were hoping for. We wanted to see a near term Plug-In vehicle with Panasonic EV-95 or Gold Peak NiMH batteries. Sadly, this acquisition makes that no more likely. Unfortunately, it turns out that not all NiMH batteries are the same. The Panasonic 10ah NiMH batteries used in real Hybrids (those that have an electric drive and can be converted to Plug-In Hybrids) don't leak and last forever. Toyota boasts, they have never replaced a Prius Hybrid battery under warrantee (7 years). The EV-95 NiMH batteries from Panasonic used in the Toyota RAV4-EV have lasted 10 years and are still going. Picture this, a car with all the features of an SUV, A/C, stereo system, Power - seats, windows and door locks etc. Best of all it uses no gas. Of course, it has no engine or any other means of propulsion. Well, a "Mild Hybrid" has all the features of a Hybrid but no electric motor. When is a car not a car, when it has no means of propulsion. When is a Hybrid not a Hybrid, when it's a "Mild Hybrid". What does Chevron like better than a "Mild Hybrid" that can't be converted to a Plug-in Hybrid, a "Mild Hybrid" with leaking NiMH batteries. 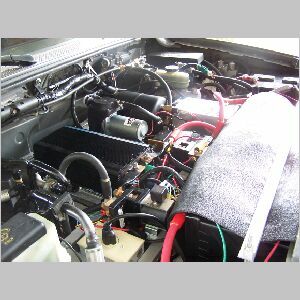 It is strange that the company who made the EV1, with large format NiMH batteries that never leaked, and traveled over a hundred miles on a charge, can't make a small NiMH battery operated electric air conditioner. So is it possible to make a real Plug-In Hybrid? In addition to numerous conversions of Toyota Prius Hybrids with a top speed in all electric mode of under 40 MPH we have two such cars from AFS Trinity. They are the XH-150 (Extreme Hybrid, 150 MPG) with a top speed of 87 MPH. "Energy Policy And The Electric Car"
Thank you for "The Market Is Responding to the Oil Shock", the most intelligent opinion I have seen in the WSJ on the subject of high oil prices. "Fortune - Warren Buffett takes charge"
"Fortune - All aboard China's new bullet train"
1976 Marion King Hubbert Clip. We reached "Peak Oil" in the US in December 1970 at just over 10 million barrels a day. Just as Marion King Hubbert first said we would in 1949 and then again in 1956. Now, in December 2008, we produced slightly over 5 million barrels a day. Half the production of the peak. This despite the most scientific exploration and production methods in the history of the oil industry. Even as we increase the number of producing wells, production falls. Hubbert predicted we would reach the world peak in 2000. In 2000 we reached a peak which was exceeded in 2004. Since 2004, production has been stable. So we may be at "Peak Oil" or there could be more rises before the final peak and eventual decline. Theoretically when we reach the final peak we will have used half the worlds oil. If you believe "Peak Oil is a contrivance or a myth, you should look at the history of oil production. The first well was drilled in Pennsylvania, when that ran out we moved to Ohio, making our way through Okalohma and Texas. As production reached a peak and was depleated in one area after another we moved on. This is the history of oil, exploration, exploitation and depletion. The most recent discovery in 1969, North Sea Oil, is finally peaking. There has been no discovery of any significat magnitude since. One need only study the oil production figures from the sixties to the present to see the trend. Here are world production figures in PDF fprmat. Here it the BP Energy Outlook. How long the remaining oil lasts, is a function of how fast we use it. We actually don't have to hit "Peak Oil" to encounter problems. Each time world demand exceeds production, economic pressures are created which lead to rising oil prices and a cooling of the economy as consumers spend more for oil and less for other things. Once "Peak Oil" is reached, demand for oil can not be satisfied by increased production, so we have a ceiling on how much demand can be satisfied. Once past peak, this ceiling is sloping downward. With or without this ceiling, created by "Peak Oil", we have pressures from emerging economies, not the least of which is, China and India. These pressures will stress the world economy even as we enjoy rising oil production or flat production at the peak. Once past peak, economic pressures gradually increase. If we persist in our reliance on oil, we are in for rolling recessions. We saw four dollar gas prices in the summer of 2008, followed by a cooling of the economy as consumers diverted dollars from discretionary spending to gas for their cars so they could get to their job, which employers were reducing as demand for products decreased. 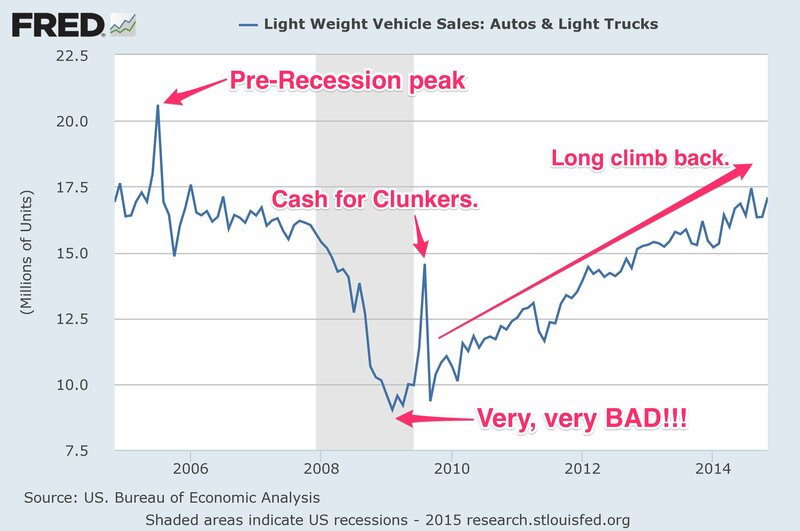 Now in the summer of 2009, we have not yet seen the recovery from this cycle. Surely, the coming recovery will result in increased oil consumption which will hit the ceiling and cause gas prices to rise again and start the next cycle. The Stone Age did not end because they ran out of stones. How will the Oil Age end? Who is smarter Stone Age man or HydroCarbon man? On the other hand, Our response to the next cycle will most likely be modified. We will learn to adapt. We will, or some of us will, find ways to reduce our reliance on oil. Those wo do, will be able to continue to fuel the economy with discretionary spending, thus softening the effect of the next cycle. As we progress through succcesive cycles, more and more will find ways to reduce their reliance on oil. As a substantial number of us escape our reliance on oil, the ceiling on growth caused by "peak Oil" will be broken. The economy will continue to grow and recover, even in the face of constrained oil supplies and rising oil prices. We will grow our economy through the use of alternative energy and conservation. Of course, all of this will take many cycles of successively shallower recessions. The dynamics of these cycles will be subtle, but increasingly in a positive direction. We all enjoy the benefits of the oil economy. We have a vested interest. But the continued use and abuse of this resource can not be sustained at our accustomed consumption rates when combined with the requirements of emerging economies. We cannot wish away our dilemma. We must look at our consumption as it relates to the resources that remain and adapt to what is a changing situation. If we cannot or will not adapt, our economic stability and our way of life will deteriorate. I recently watched "A Crude Awakening" for the first time, I felt as I did after watching "Who Killed The EClectric Car". How can so many of us, be oblivious to potential catastrophe. How can we continue to ignore economic, climate and cultural warning signs. We are so committed to the "Black Blood of the Devil", that we can't see what is happening. Ten years ago percapita income in Saudi Arabia was $28,000 today it is $6.000. In the minds of many Saudi's, this economic inequity is rooted in our consumption of their cheap oil. They see us as the authors of their adversity. Sadly, calling attention to these things is perceived by so many, as being a purveyor of "Gloom and Doom". It is hard to addresses this problem in a way that is perceived as positive and necessary, yet, still there are those of us here and elsewhere who keep trying. It is interesting to note that, when looking at oil consumption from 1965 to the present, consumption has peaked twice, once in 1979 and again in 2007. I believe we should be as interested in "Peak Oil Consumption" as we are in "Peak Oil (production)". When the decline in oil consumption is steeper than the decline in oil production, we are doing the right thing. Our goal should be to widen the gap, in such a way that the decline in consumption is faster than the deline in production. As this gap widens, we can take pride in our movement towards a solution. As the gap widens we buy more time, by increasing the life of our reserves, to increase our use of alternative energy. Future generations will be able to use those reserves for lubricants, plastics etc. as we find alternatives to oil for transportation. Note, that the oil consumption mumbers include biofuels while the production numbers do not. This serves to mask the actual reduction in consumption. If we can find ways to fuel recovery without increasing oil consumption, we will be on the path to resolving our reliance on oil. 60 Minutes The Oil Kingdom Part 2. We are assured that there is no need to worry, beccause we have enough oil reserves for fifty years. Only fifty yeas, this is alarming. At the same time they invest in their own local solar economy. 60 Minutes The Oil Kingdom Part 1. The following is a qoute from an interview with Mathew Simmons in answer to the question "are you optimistic or pessimistic?" "History has shown that we react really well when our back is against a wall. And I go back to my analogy of perhaps we're basically in 1938 today. It's amazing that in the fall of 1939, World War II began in earnest and England, Canada, Australia, New Zealand and the United States had zero war machines. The U.S. on Dec. 6, 1941 didn't fully realize we were at war and the war was already 40 percent over. But from late 1939 until the early fall of 1945, the Allies put together from scratch a military force that actually stopped dead the most lethal war machine ever created. Even more remarkably, in another unbelievable burst of creativity starting in early 1947, we created what's known today as the Marshall Plan. And the U.S. single-handedly organized an effort to create the architecture and the blueprints and the foundations for rebuilding Europe and then Japan. So I say if you look at those two world-class crisis events between the start of 1940 and the start of 1951, we destroyed Europe and then rebuilt it. If we could do those two things back to back, then we can actually win the energy war." Read the full interview with Mathew Simmons. Video interview with Mathew Simmons from "Crude Awakening". Video interview with Colin Cambell from "Crude Awakening". The rising price of Fuel and Food in our Oil Based Economy. The production of corn is a petroleum based fuel intensive process. Fuel is used to plow, sow, fertilize ( fertilizer production itself is fuel intensive), application of insecticide ( again a fuel intensive product), harvesting, trucking to the silo, loading with grain elevator. shipping by rail to food processing plant and shipping by truc k to supermarket. All highly petroleum based fuel intensive steps in a complex food production system. the price of corn rises. The supermarket has 2,500 products made from corn. Not just the obvious ones like corn flakes, but things like beef and milk come from corn fed cows. Soft drinks, candy, cookies etc. are sweetened with corn syrup. the price of food rises. Using corn to produce Ethanol raises the price of corn at the food processing plant and the supermarket. or Etanol in our gas tank. Corn Ethanol diverts corn from the food supply. This increases demand for other grain commodities such as rice, wheat and soy. Because we are an exporter of corn, this increases world wide demand and prices for these commodities. the price of all food commodities rise. The only way to break the cycle of rising prices is to reduce demand for oil dramatically. Ethanol has little or no payback and its use contributes to rising food prices. Although, cellulosic ethanol made from saw grass and/or switch grass requires very little fuel input for its production, this alternative is not yet available. The Battery Electric Vehicle is our best solution. Read "The Omnivore's Dilemma" by Michael Pollan - his chapters on corn and agribusiness are important to understanding the rising price of food in our Oil Based Economy. Flex fuel vehicles use Gasoline, Ethanol, Diesel or BioDiesel Fuels. The problem is, that you must own two automobiles to use all four fuels. The flex fuel vehicle is really a dual fuel vehicle. One of those fuels is petrolem derived, which is the source of the problem we are trying to solve with the flex fuel vehicle. So, if you are buying a flex fuel vehicle to have a positive effect on our Foreign Oil Dependence, your flex fuel vehicle is really just a single fuel bio fuel vehicle. = poor fuel economy (MPG). Depending on which data source you use, estimates are that it takes the equivilalent of one third to one half a gallon of gasoline to produce a bushel of corn and almost three bushels of Corn to produce a gallon of poor fuel economy Ethanol. The Electric car is a true flex fuel vehicle. It uses electricity directly from local wind or solar, or indirectly from wind, solar, geo thermal, Hydro, oil, natural gas, coal or nuclear via the grid. What ever happened to the "Station Wagon"? This is a picture of the doge Sport Wagon. We don't call it a "Station Wagon" any more because that implies a transportation system of which the car is only a part. Today the car is the system. The "Station Wagon" implies that you use the car locally, and when you want to leave town, you drive to the station, leave the car there and take the train. The EV is perfect in this kind of a system. We are very busy dismantling our rail system and turning the right-of-way into bicycle paths. This may be the new mode of transportation if we don't reduce our dependency on oil. What is a Hydrogen Fuel Cell Vehicle? Well, it is an electric car like any other electric car, except that it does not need batteries to store electricity. Like the space station, it makes electricity from a Hydrogen Fuel Cell, and a super capacitor. The super capacitor is used to store the regenerative braking energy when slowing the car so it can be used when you need extra power for acceleration (more power than the fuel cell can deliver quickly). The most common and efficient way to make hydrogen is refining hydrogen from fossil fuel, usually natural gas. This is an energy intensive process that yields a volume of hydrogen containing less energy than the energy used to produce it. Hydrolysis is often suggested as convenient way to convert water to Hydrogen and Oxygen. This process is less efficient than refining fossil fuels. Once the Hydrogen is liberated from the water it must be compressed. The combined process yields a volume of Hydrogen with an amount of energy equivalent to about 65% of the energy used to create it. The fuel cell itself is only 65% efficient and the electric motor is 90% efficient. The result is 38% of the energy used to create the hydrogen gets converted back to drive the car. By contrast, in a battery electric car, the battery is over 90% efficient and the electric motor is 90% efficient for a combined efficiency of 81%. The result is that an electric car uses twice as much of the electricity used to charge the batteries to move the car, when compared to a Hydrogen Fuel Cell car. Fuel Cell cars take several minutes to start, they donÂ’t tolerate cold well, and vibration makes their membranes rupture. Because of the low energy density of Hydrogen, fuel cell cars have no advantage in range over an electric car. Because of limited availability of Hydrogen refueling stations, are limited as to where they can be used. And finally they are half as efficient as battery electric cars at using electricity. If fossil fuels are used to create the hydrogen, what is the point? Why not use the fossil fuel to drive the car? Now, here is an interesting question. Why would automobile manufacturers make fuel cell vehicles and not battery electric vehicles? The answer is, incentives. The Bush Administration replaced battery electric vehicle incentives and Hybrid research incentives with Hydrogen fuel cell vehicle research incentives. Auto manufacturers are being subsidized to develop Hydrogen vehicles. We are told fuel cell vehicles are zero emissions vehicles that produce only clean water as exhaust. At the same time we are told that electric cars actually burn coal because they use electricity from coal burning plants. For some reason it is not popular to talk about the electricity used to make Hydrogen and compress it. When electricity is used, the method of preference in such discussions because it is so widely available, Hydrogen cars use twice the electricity and thus twice the coal if coal is used to generate the electricity. In the advertising for Hydrogen cars we hear about hydrogen produced from electricity generated from renewable energy sources such as hydro, solar, wind and geo thermal. But Battery electric cars are always portrayed as being charged with electricity from coal fired plants. "The Mythology of Fuel Cells"
These web sites and their owners do not necessarily endorse this web site and are in no way responsible for its content. There is, in Polk County, Florida, the beginning of an Electric Vehicle Movement. Currently, it is manifested in the PolkEVA mailing List at evprogress.org. Do you have opinions or ideas? I'm interested in connecting with like minded people. My email address is . We are in a transition to a new economy free from foreign oil dependency. It is already started. Be an EV angel-ist. Spread the word. Let me know if you want your thoughts posted here. You had posed a question about NiMH batteries being one of the reasons that EVs were still not all over the USA. I don't feel it makes any difference. NiMH is very good but lithium is even better. The lithium batteries are even better than NiMH with lighter weight, better temperature range and even more power to wieght ratio. Even with all of that it's still hard to sell an electric vehicle to many people. Why is it still a problem to sell electrics ? Just like solar PV most people don't look at life cycle cost. Only the up front cost. The REAL GAS price is still not $8-10 at the pump like it should be. The US still subsidieses oil and also doeesn't account for the environmental damage like we should ! In Europe the price is real. EVs will catch on there before anyplace. As soon as the current administration cuts the payments to big oil like congress almost did in Jan 2009 with Hr6 of 13.1 Billion a year we will start to see real prices and EVs will sell themselves to everyone. I for one really want to see real gas prices soon. I will buy the Nissan LEAF in 2010 as soon as it's available. They have 100 miles range with lithium batteries and are the best choice in 2010. I'd never buy a NiMH vehicle here because of the heat. Even NiMH hybrids have battery problems in the heat. Thanks for the comment. All good points. Just to clarify. I never said NiMH was better than Lithium ion nor do I believe they arre a good in hot weather. Keep in mind the EV1 one batteries were cooled and controlled by a BMS to compensate for their high temperature characteristics. The same is true for Lithium ion. The Ovonics in the EV1 were not the best NiMH batteries either. The Panasonic EV-95s were superior. In the RAV4-EV they were air cooled with ambient air. What I believe is that all technologies should compete on a level playing field. Let the best solution be applied where it it is appropriate and cost competitive. No technology should be surpressed in order to prevent or delay the emergence of another. At this point the NiMH technology has been sold by Chevron to offshore Corporations and is beyond the infulence of our government. The emrgence of More mature Lithium technologies make the issue less important. The long term endurance and reliability of Lithium technologies is yet to be proven, but is certainly extremely promising. I met you at the Sarasota show. I was wearing a straw hat, my wife and young daughter were with me. I studied your article and was impressed, of course. You did a great job on your EV! Its a great inspiration. I wanted to do this but am afraid its probably beyond my abilities and patience. I would love to have your truck. One question. Why doesn't the electric motor need a clutch to change gears? How do you disengage the trans from the spinning shaft when you want to shift? The primary reason for the clutch is that the engine turns when you are stopped. Without a clutch, it would stall. In an electric car, the motor stops turning when you stop. No clutch required for stopping. In any standard transmission car the gears are synchromesh. This means you can engage a pair of gears even though they are spinning at different speeds, within reason. If you shift at a the right speed, you will have no problem. Finally, shifting is almost unnecessary. You need to put it in reverse to backup and I use second gear, almost exclusively, when going forward. I have used third gear at higher speeds, like 50 or 55. But, even this is not absolutely necessary. My Name is Mark Reynolds. I am an engineer in San Jose California who has an interest in seeing useful EV's come to fruition for all the reasons you have summarized on your site. I recently referred a Wall Street Journal journalist to your site who has recently authored an article on 25 mph NEV's, and she actually wrote back to me. NEV's are great for limited applications in dense cities, but I fear they also perpetuate the notion to the uninformed citizen that EV's are all as limited as a golf cart is. I'd wager that, for this reason, the usual anti-EV suspects are delighted to see NEV's appear so as to convince casual observers that EV's are not feasible. Her article was very supportive of NEV's. Up until now there has been no chance of overcoming the entities that are suppressing the EV, but the Internet may change the status quo with web sites such as yours if enough people are adequately informed. Let's hope. BTW, I electrified my bicycle with a powerful but completely silent 3-phase brushless/gearless wheel hub motor. Recently I saw a concept car on the internet that has a hub motor for each wheel. I think it was a Volvo. Depending on the unsprung mass presented by the car version of the wheel hub motor to the vehicle suspension, this could be a good thing. Lead/Acid is heavier, with lower speed/range per volume/weight, but its much cheaper so its a good starter pack. If upgrading to LiFePO4, it may be useful to parallel a small lead/acid pack of the same voltage for accelleration, as lead's stong point is high discharge amps. For lots of stop-and-go traffic, Re-gen being paralleled with super-capacitors is showing some promise, batteries can't absorb regen fast enough without S-caps, so most regen is lost. An EV with an optional series-hybrid trailer for longer trips is the best solution for most people IMHO. I'm glad to see it highlighted here, great site! Al, thanks. When I think what has become of our country (Oil dependence, and no plan "b"), I am simply beyond angry. So mad, that 3 weeks ago, I began to Google to see what options were out there for the common citizen. I have read a lot, learned a lot, but I get a shock each time I change a light bulb( not good with electricity). I fear we are out of time, and a national calamity awaits us all. The 1st named storm this summer will likely kill the economy (maybe not, I hope not); there is so much speculation in the oil markets, and no end in sight. think this is a serious subject, unfortunately not many posting at the Ledger seem to understand the problem or they would have voiced their concern. I think BushÂ’s Energy Proposal demonstrates just how out of touch he and apparently his administration really are. We are headed for a recession; I believe investment in America and American technology is a way out. Al, you are a great example of what makes this such a wonderful country! With the ingenuity and determination that you and your friends have demonstrated we will whip the Oil Cartel in short order!! A plug-in electric flex fuel hybrid is what I want for my next car. Hopefully it won't be long before we see them on the market at lower prices. Al Lococois the author of "Turning Point In History", an exploration into the subject of Energy and Transportation and how they affect our lives, our economy, our politics and our future. I am not an expert. I am no more qualified to profess an opinion than any other citizen voter. However, as a citizen and voter, I feel obligated to be informed. Energy and, because it is a major energy consumer, Transportation are the central issues of our time. It is imperative for the preservation of some semblance of our lifestyle that we understand this issue. I present here a layman's view of the issues for the edification of others like myself. To the experts, you have my apology. The information, experiences and opinions expressed here on this web site are produced by Al Lococo. Lococo converted his first Battery Electric Vehicle (BEV) in September of 1979 in response to the fuel crisis at the time. In response to the current crisis, he has converted his second award winning BEV appearing in issue 12 of "Intersection", the London based International magazine. Lococo has no product for sale and seeks no monetary contributions or reimbursement for his efforts. His goal is to provide detailed information on all aspects of the subjects of Energy, Transportation,Electric vehicles, High Speed Rail and related topics, in a form that can be put to use by those so inclined. It is intended that tis web site be as exhaustive as possible in presenting every aspect of the current energy crisis and its impact on the economy, national security, the war and the environment. Lococo is Secretary of the Central Florida Electric Vehicle Association (CFEVA). The information, experiences and opinions presented on his web site are his and his responsibility only. Although you will find links to other organizations and institutions, they do not endorse his web site and are in no way affiliated. Lococo is a retired Computer Operating Systems software Designer. Most of his career was spent writing specifications for large computing systems software. He is also a Advanced class Amateur radio operator licensed by the FCC. He is not a mechanic or an engineer. Â·	Reason can answer questions, but imagination has to ask them. Â·	Adversity is not the problem; coping is the problem. Â·	Those who know how to think need no teachers. Â·	To know the mind of a man, listen to his words, then note his deeds. Â·	If your project doesn't work, look at the part you thought unimportant. Â·	An idea put into action is more important than one only in the mind. Â·	Those who say it cannot be done, should not interrupt one who is doing it. Â·	.	. People are never so trivial, as when they take themselves seriously. Â©2007 Al Lococo. All rights reserved.